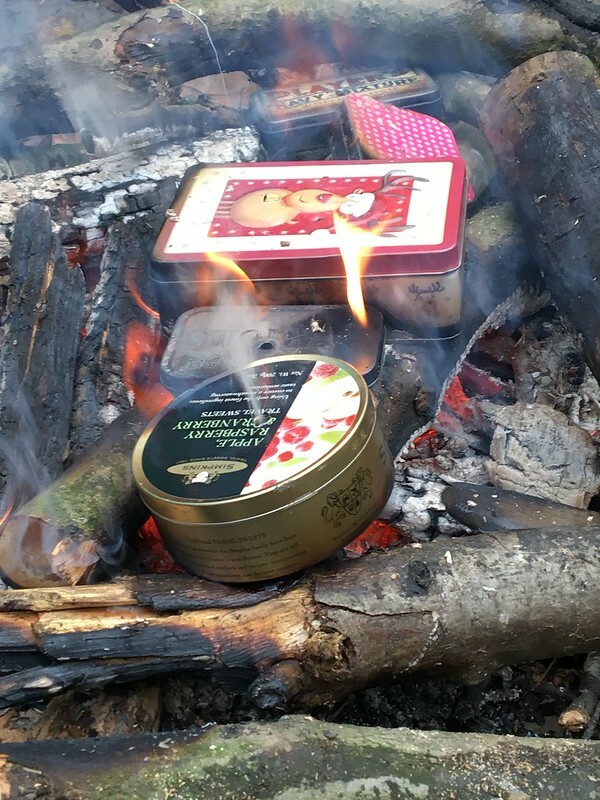 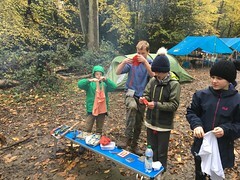 There are those that believe that camping is for the summer months. Not us! 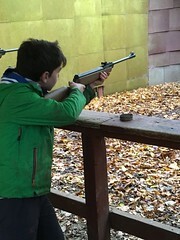 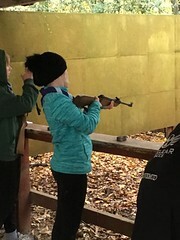 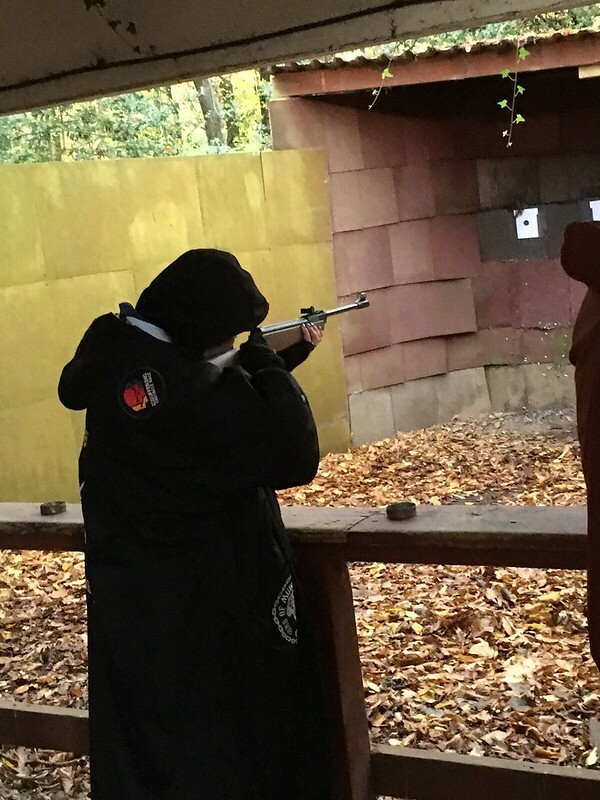 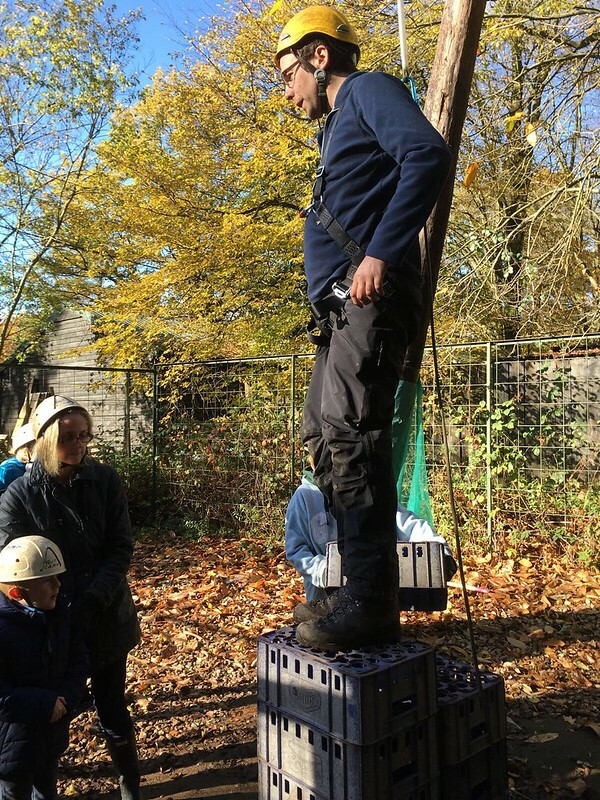 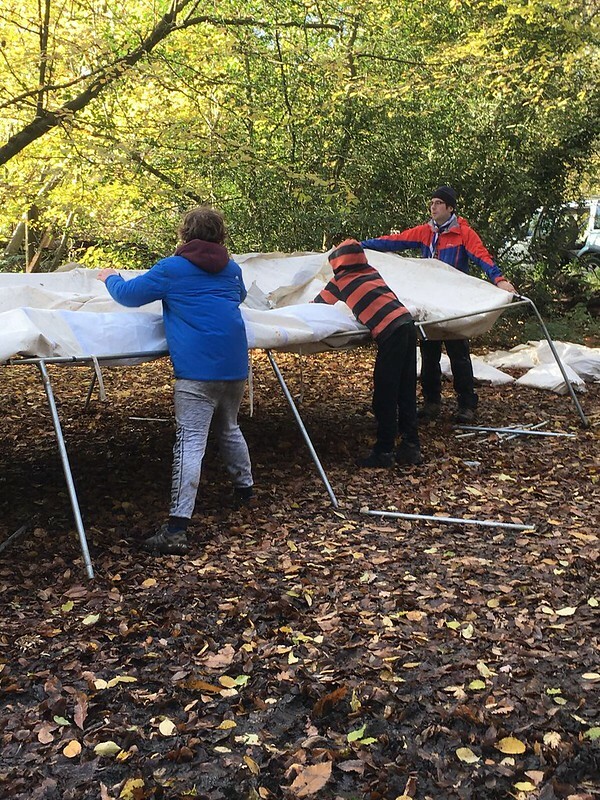 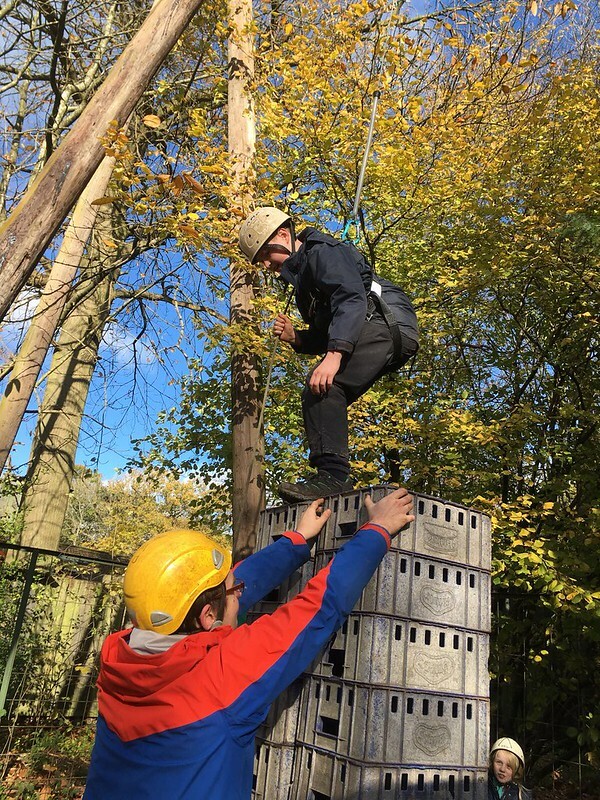 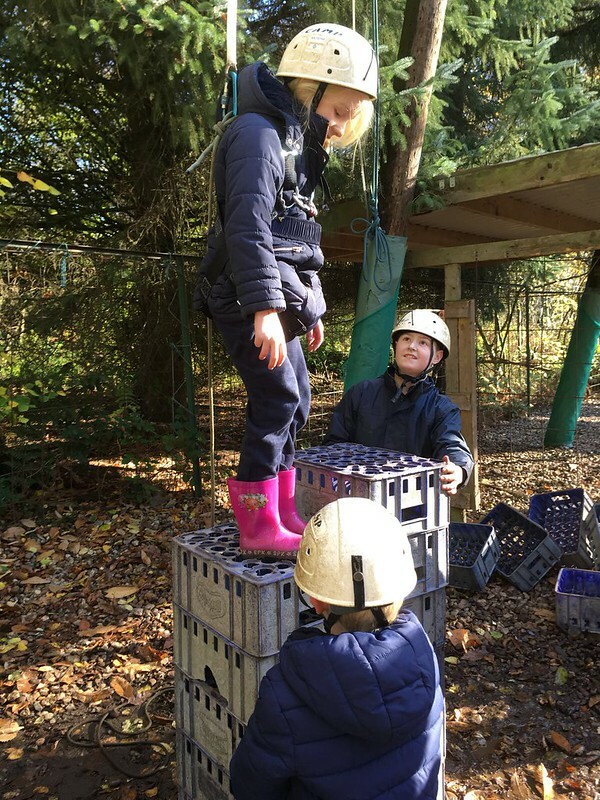 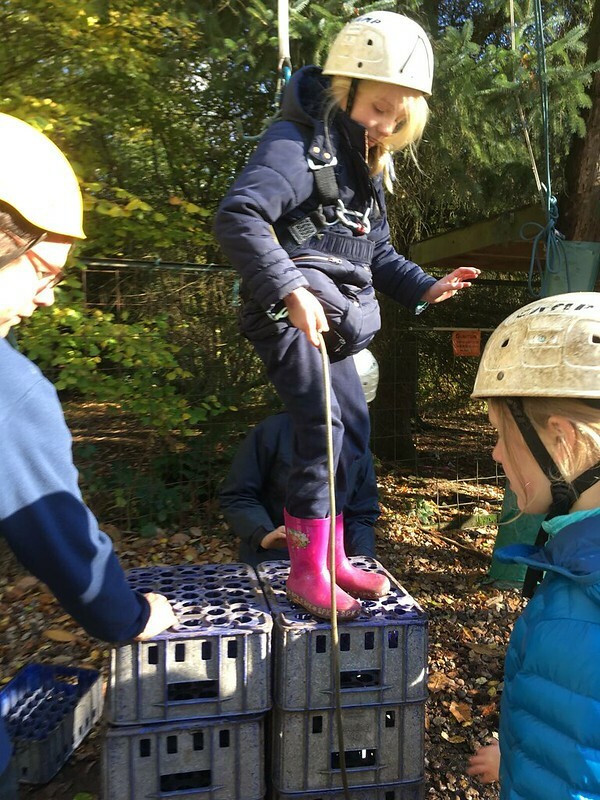 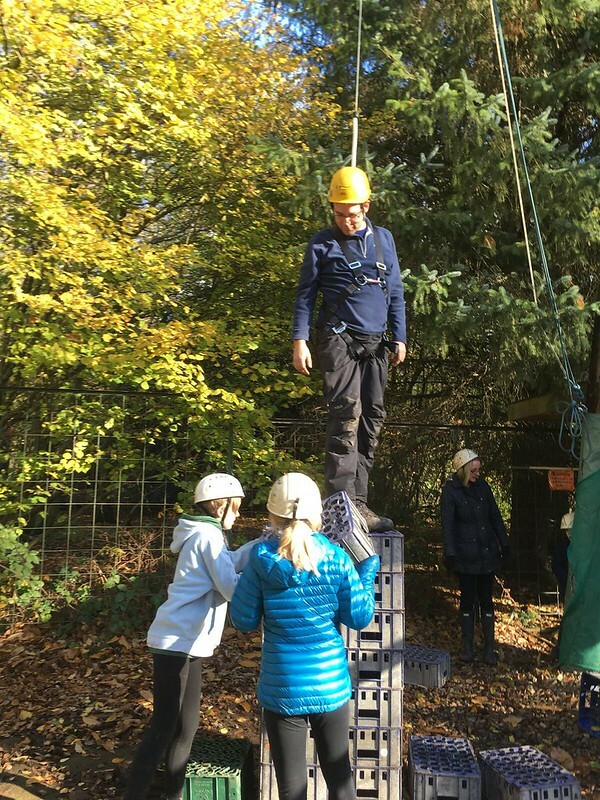 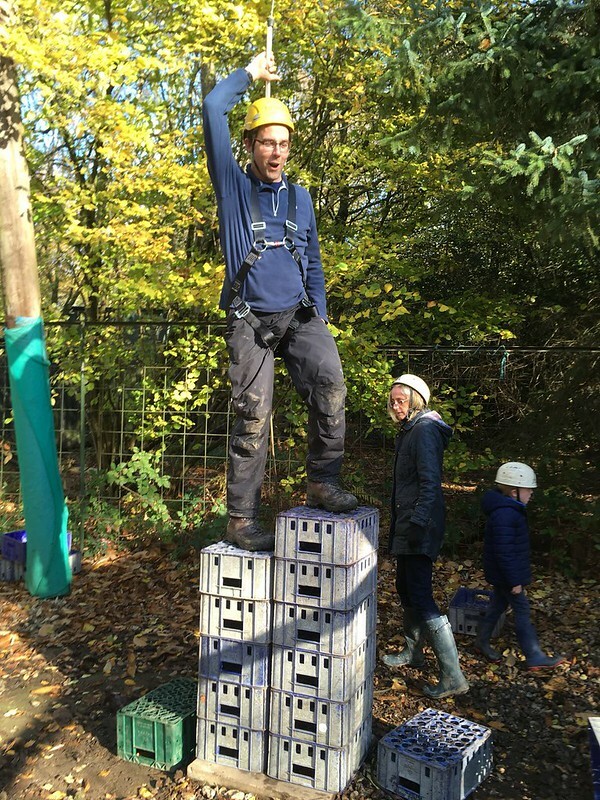 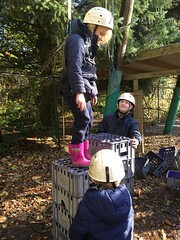 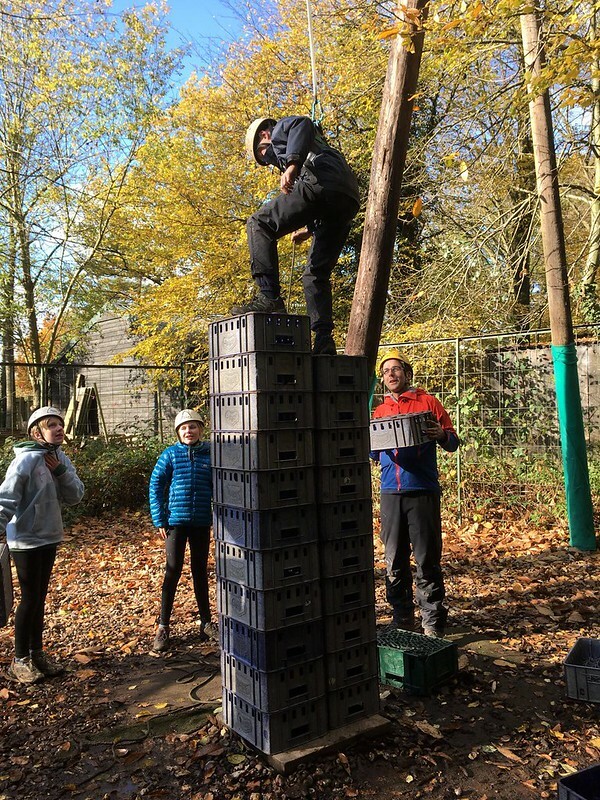 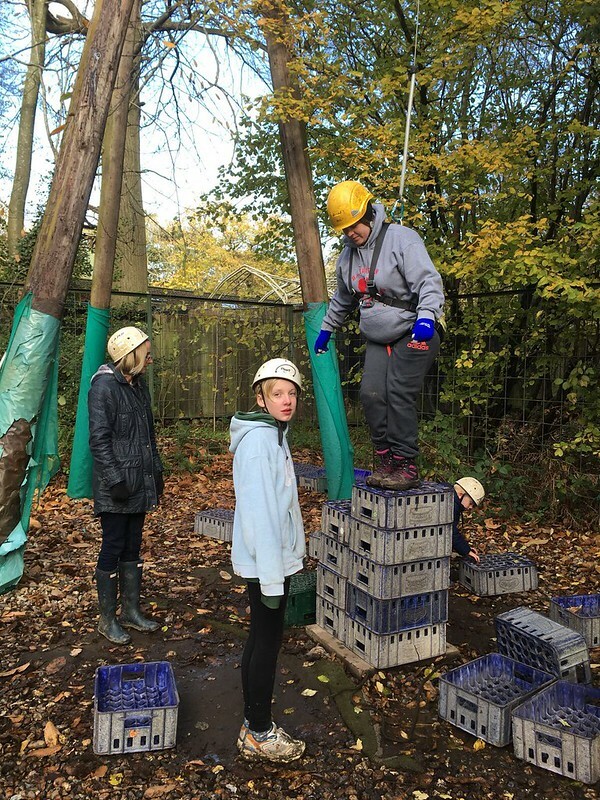 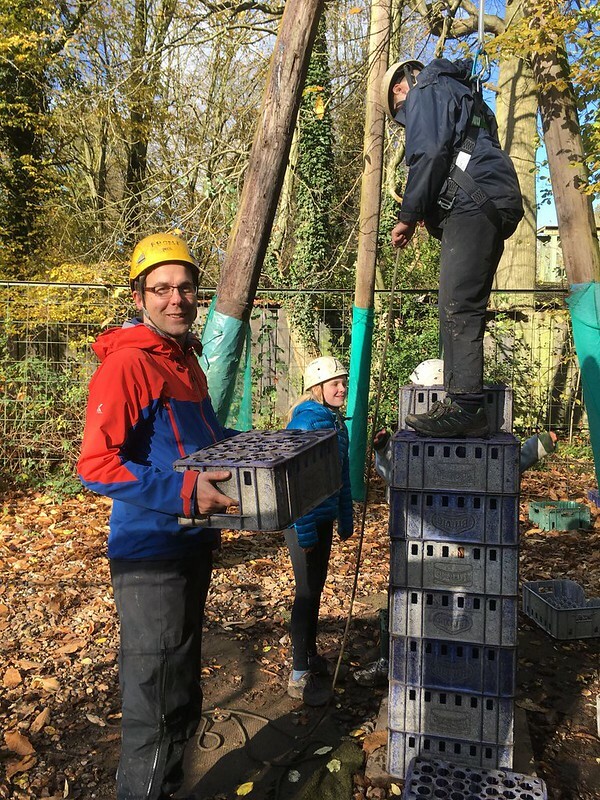 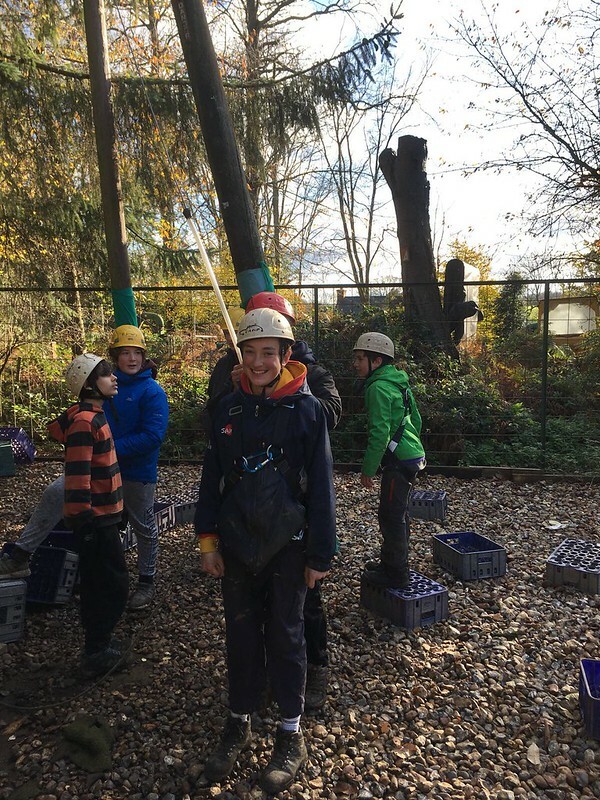 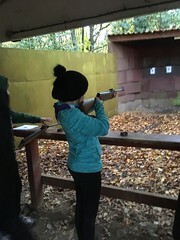 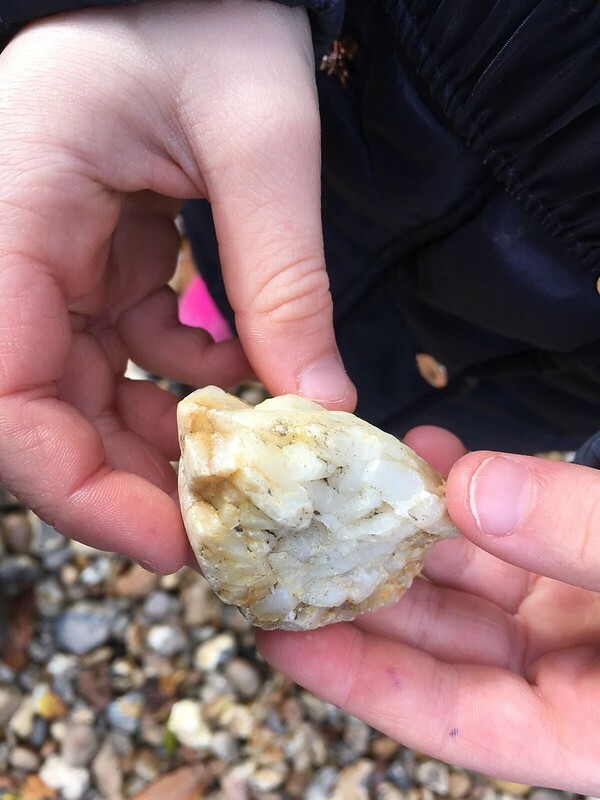 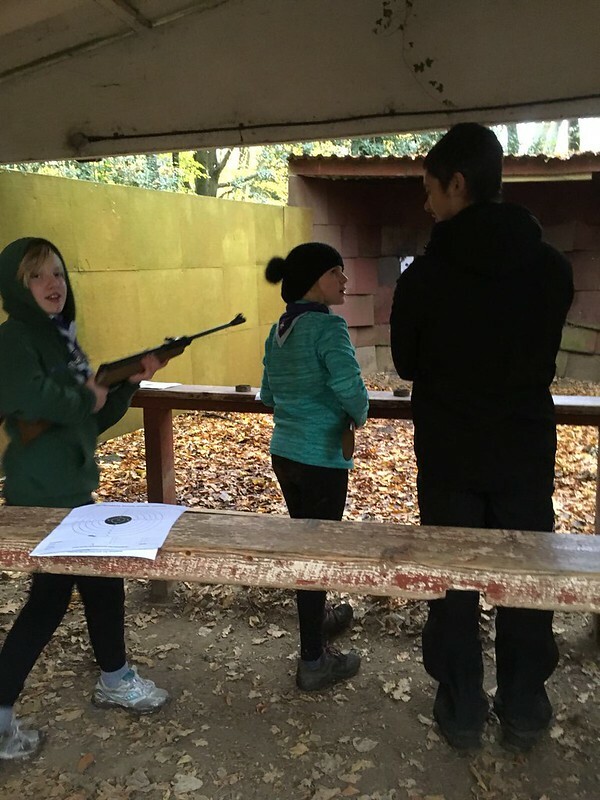 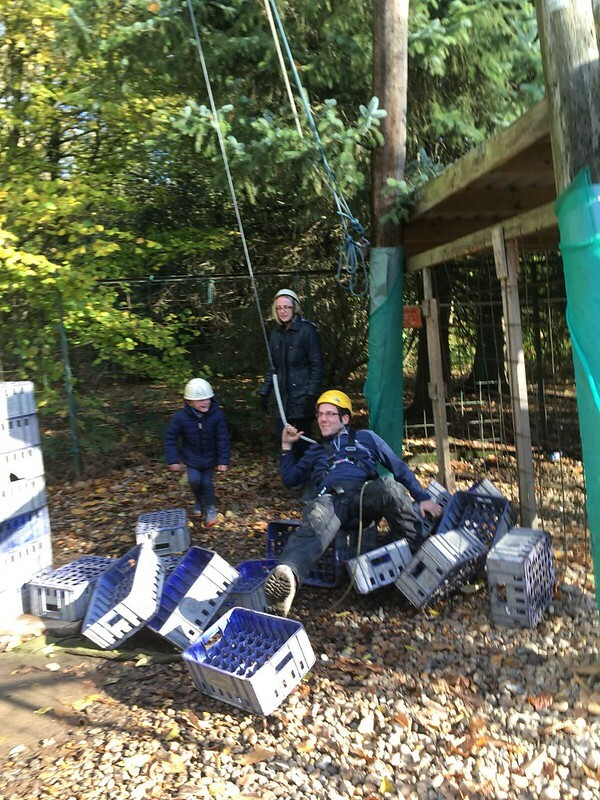 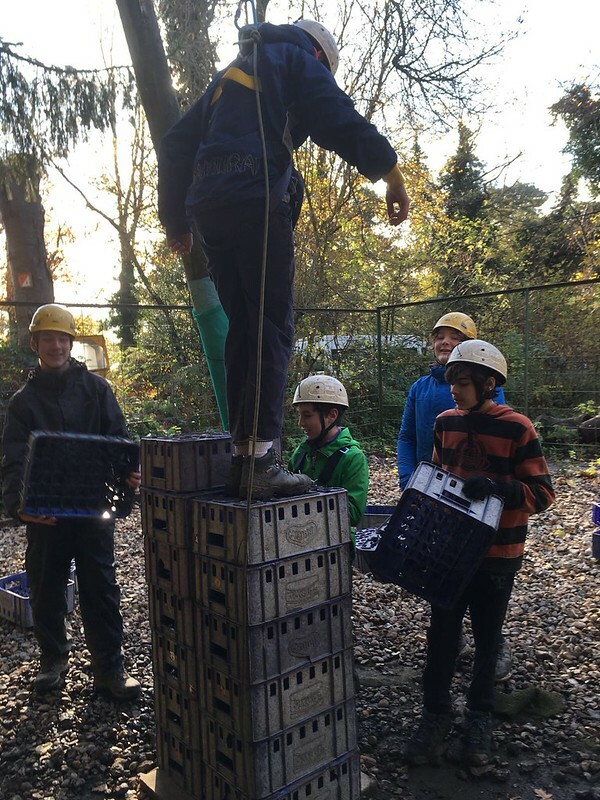 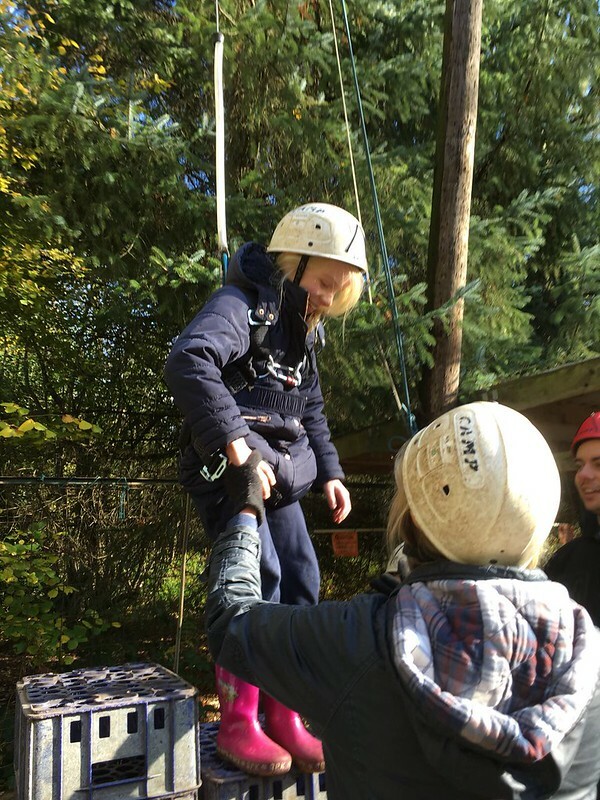 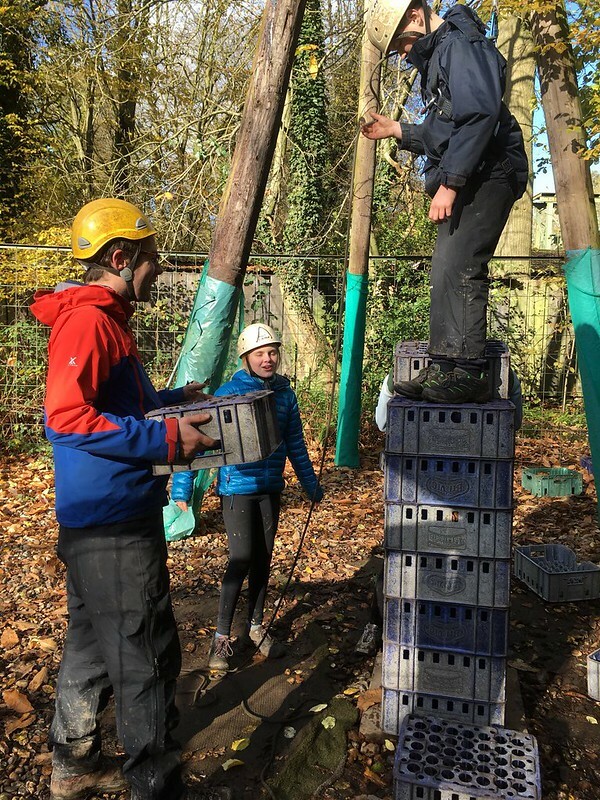 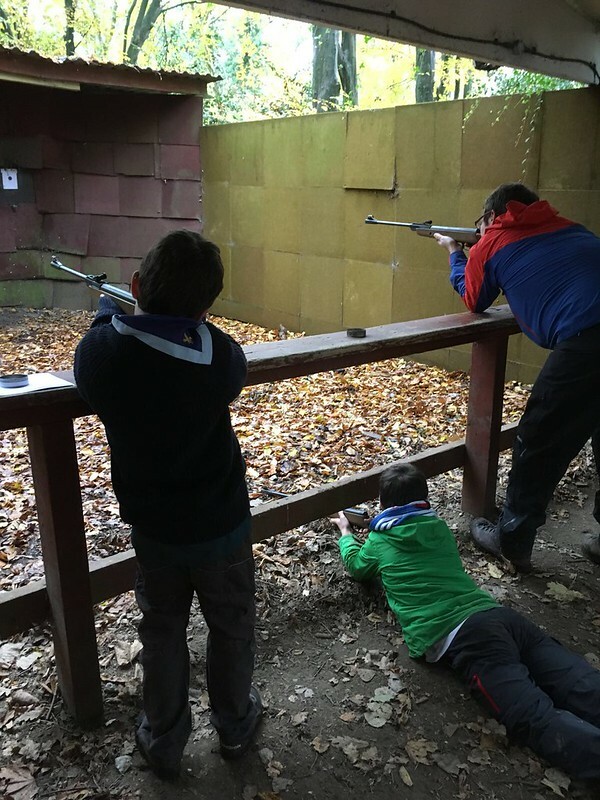 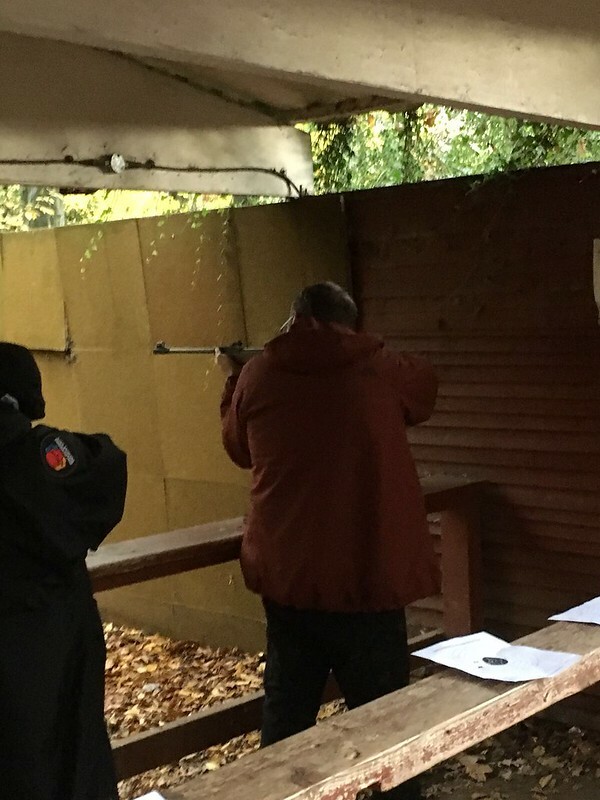 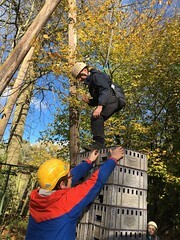 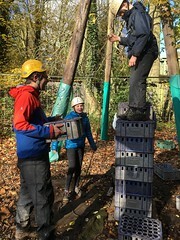 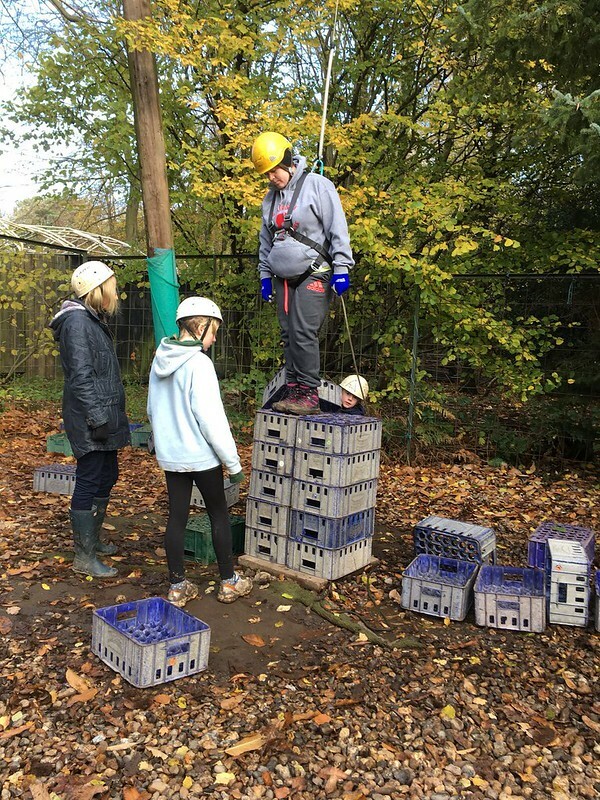 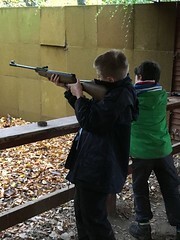 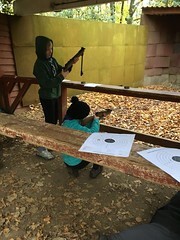 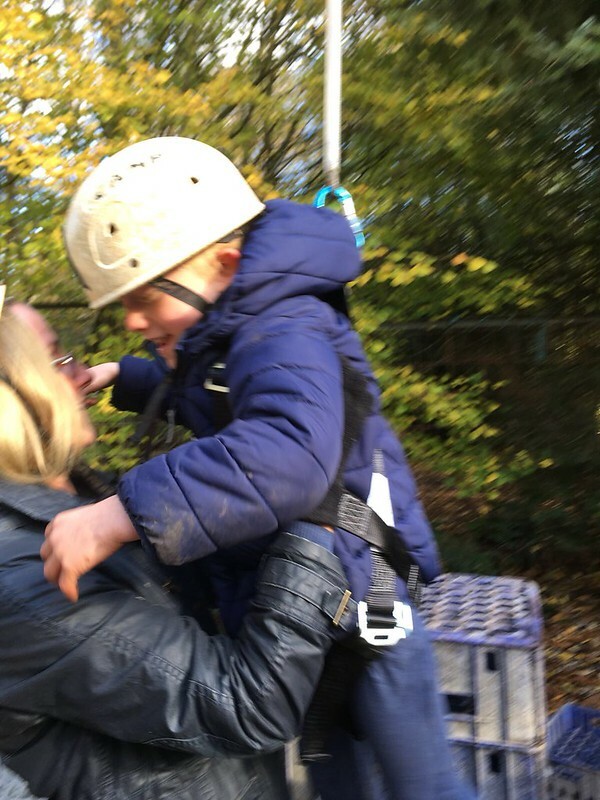 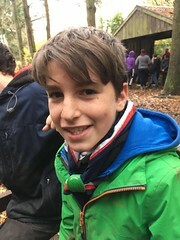 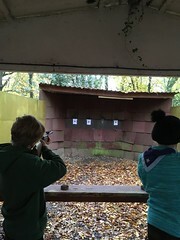 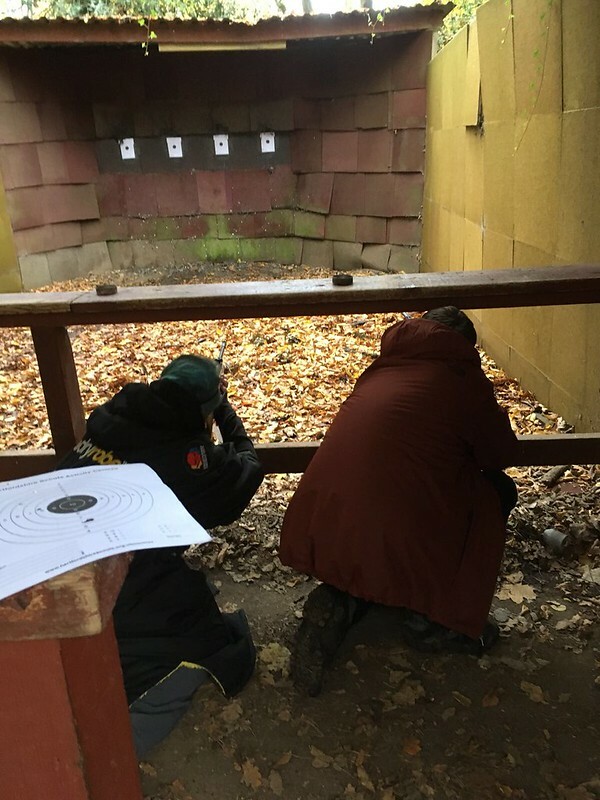 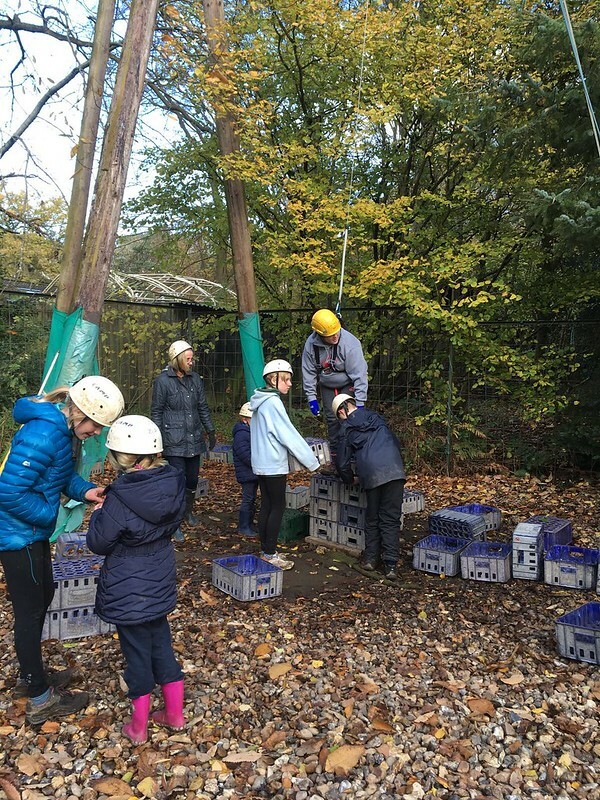 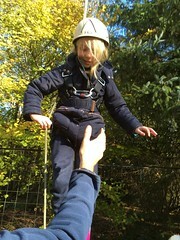 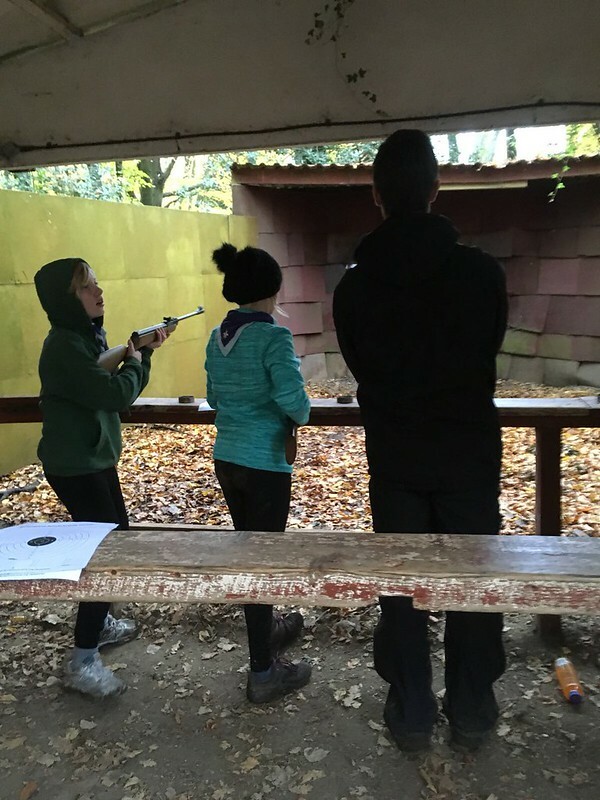 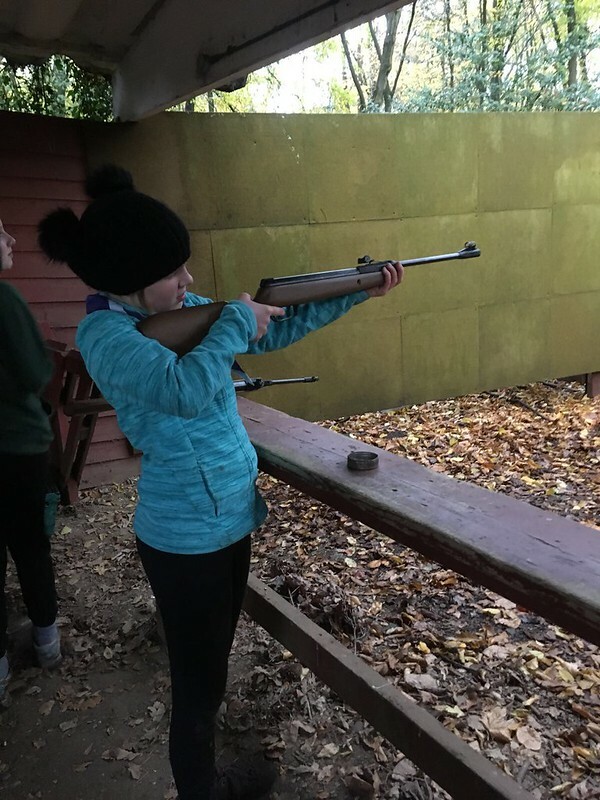 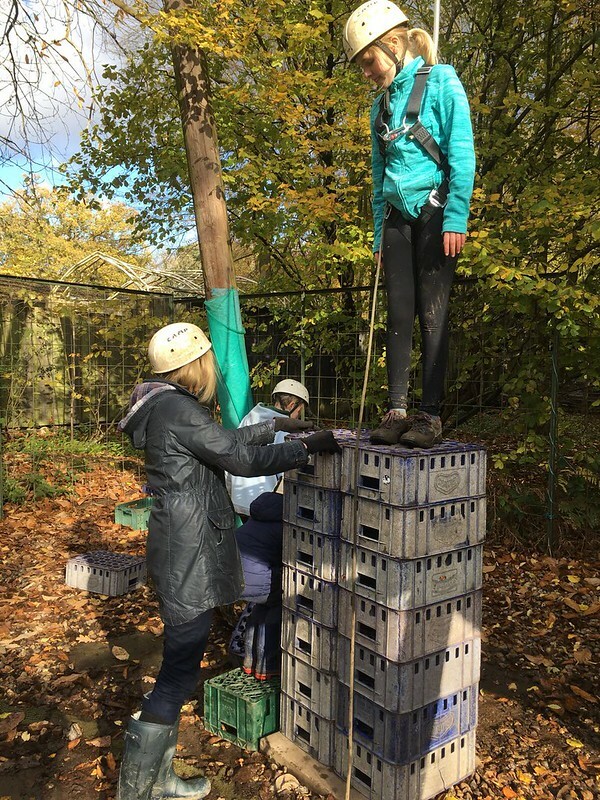 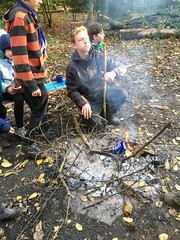 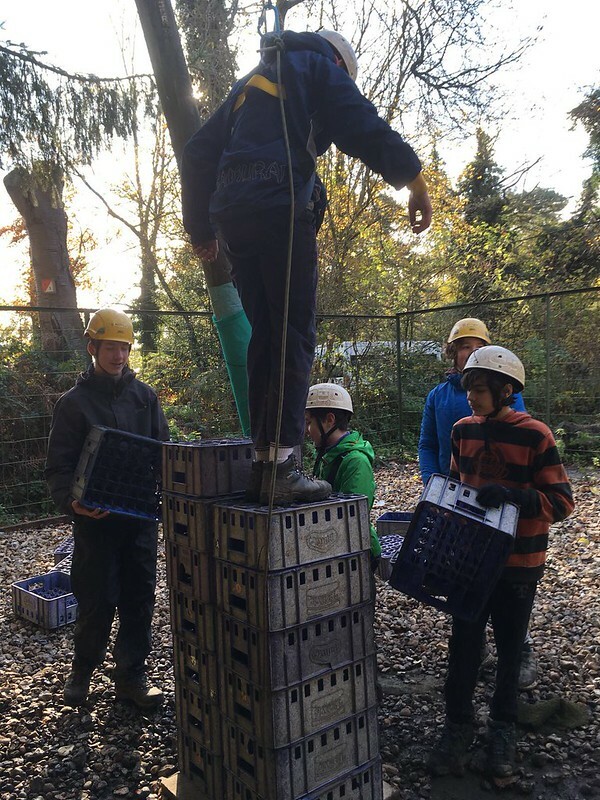 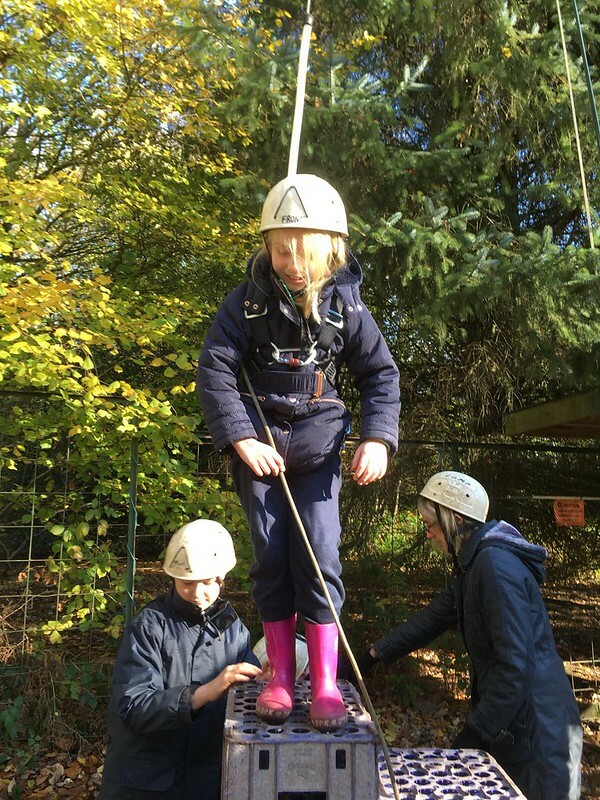 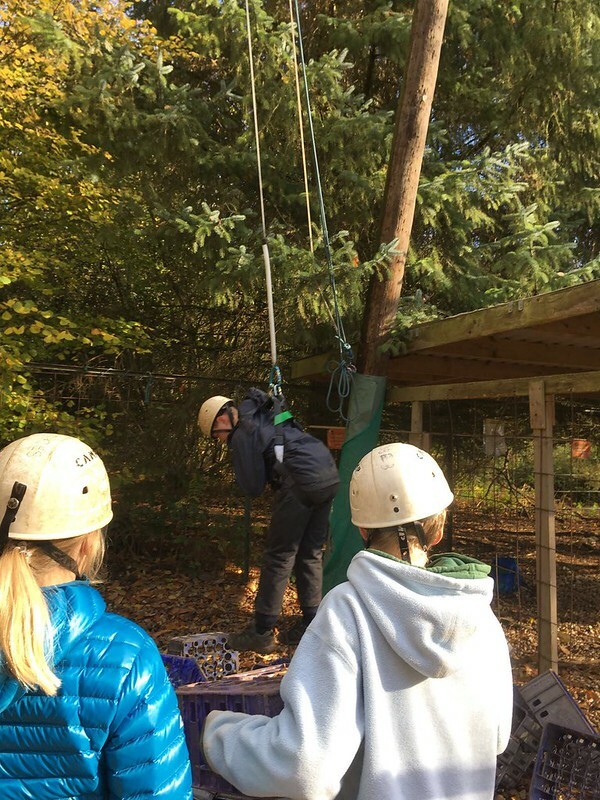 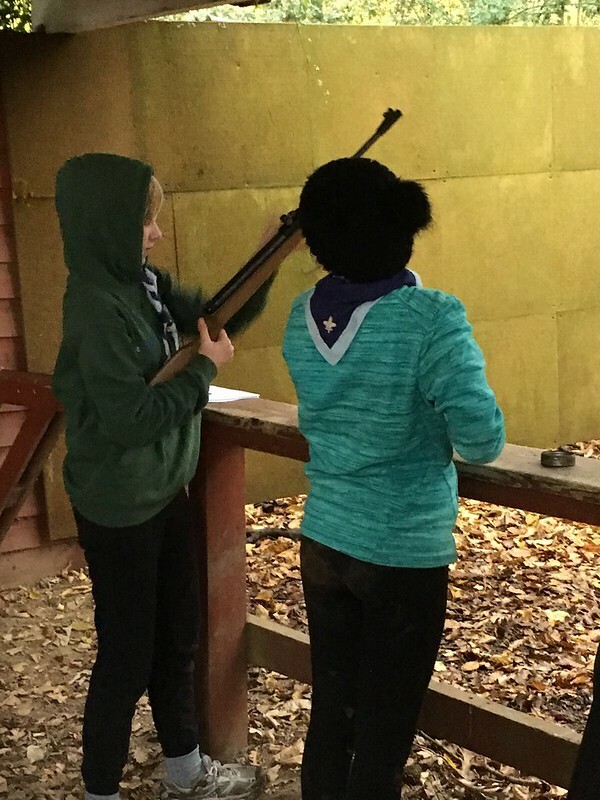 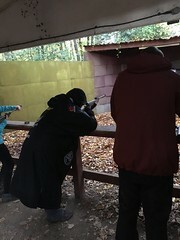 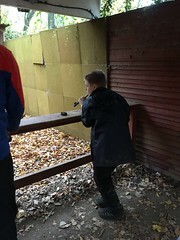 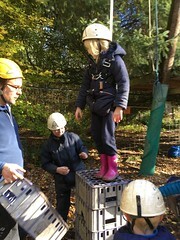 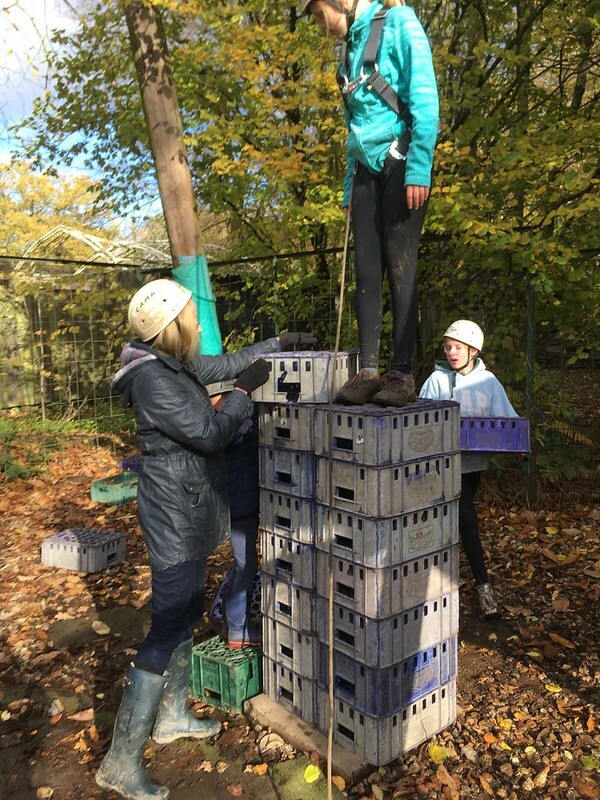 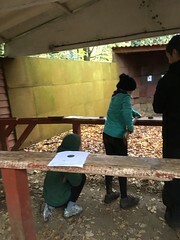 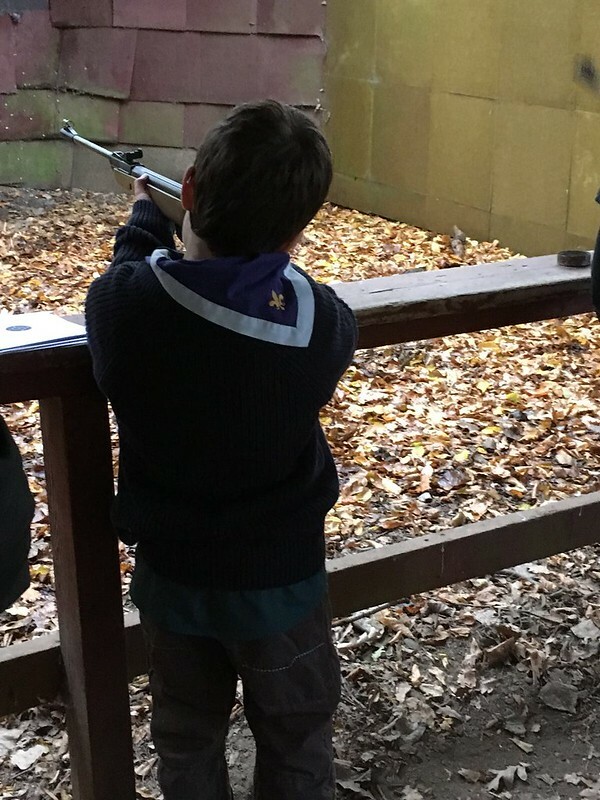 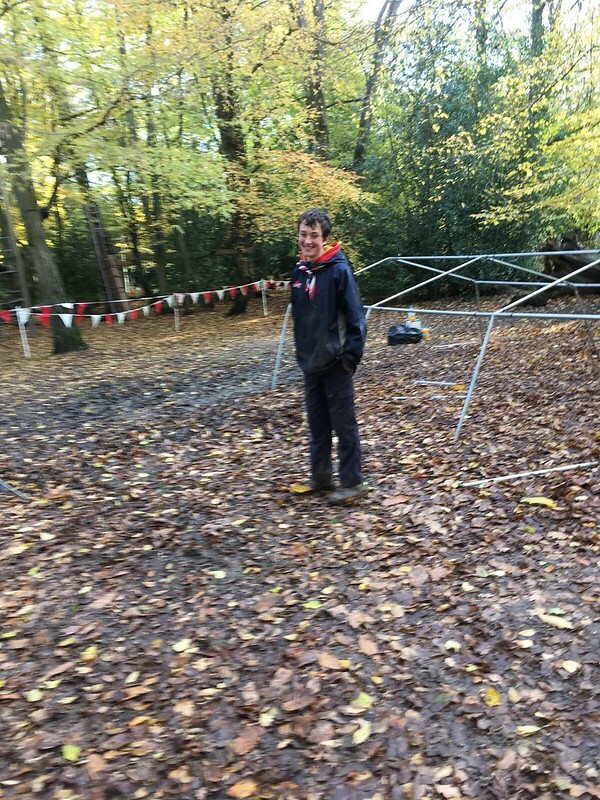 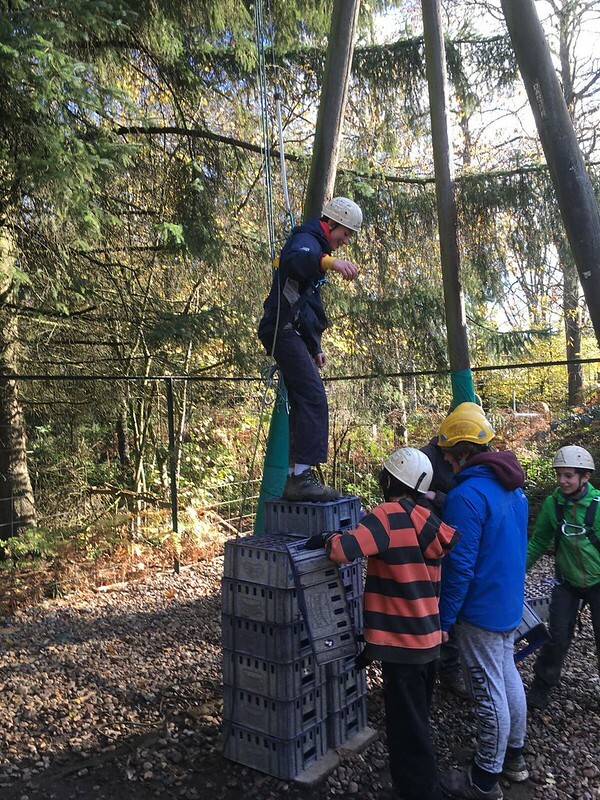 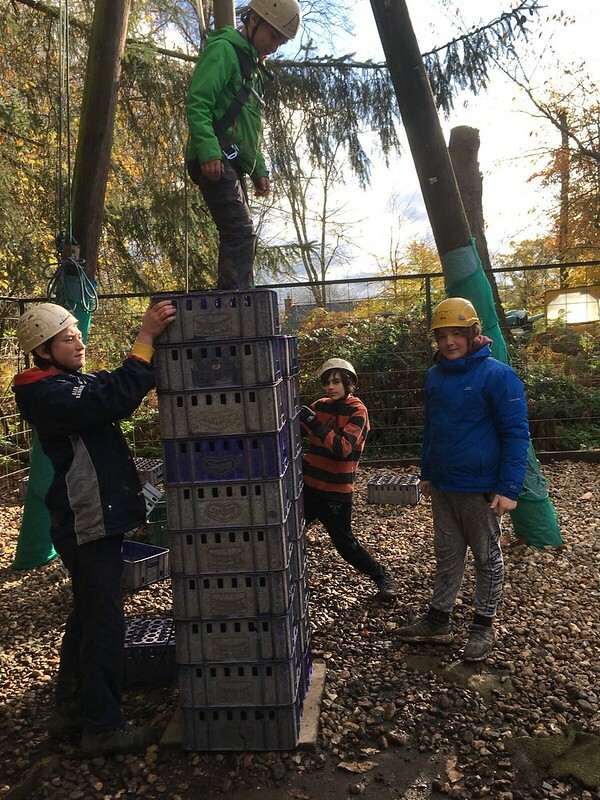 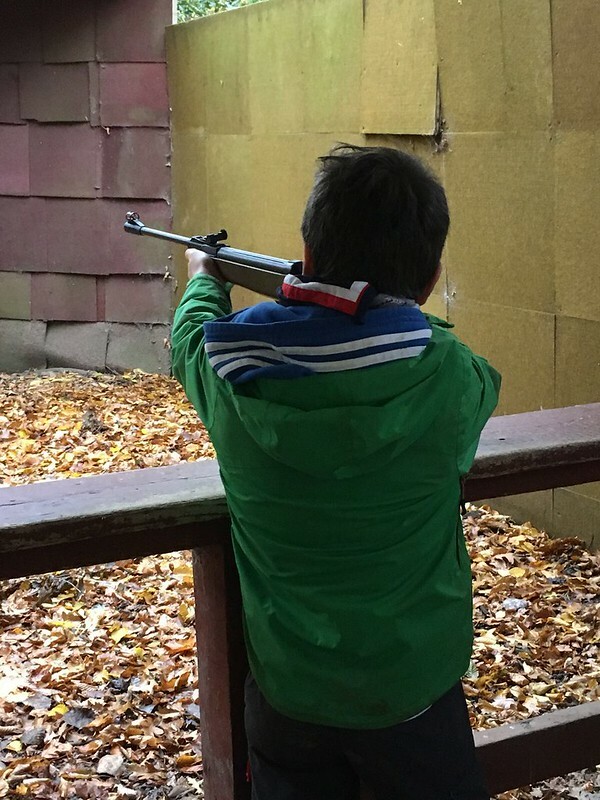 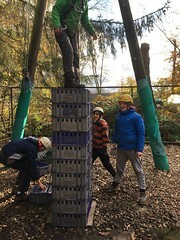 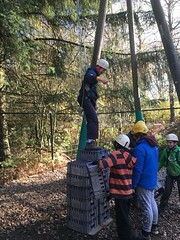 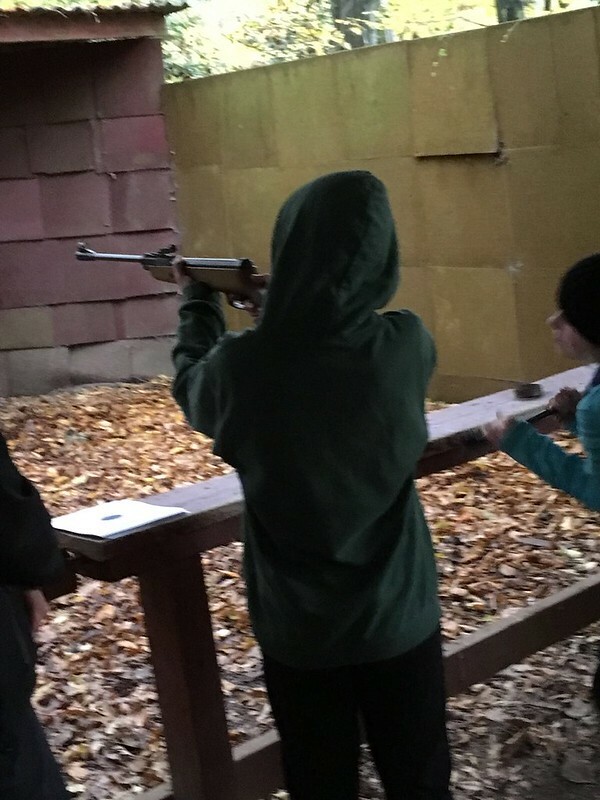 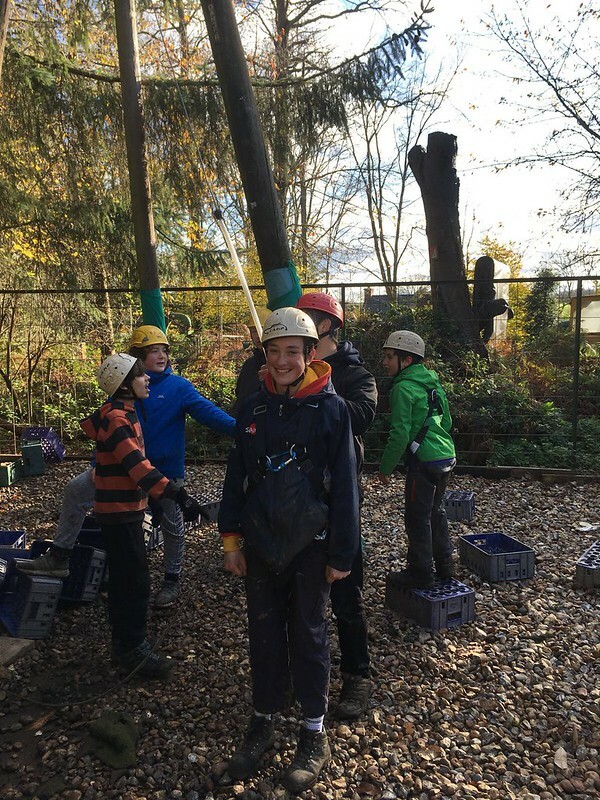 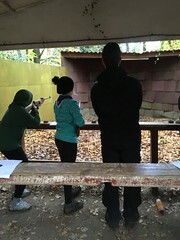 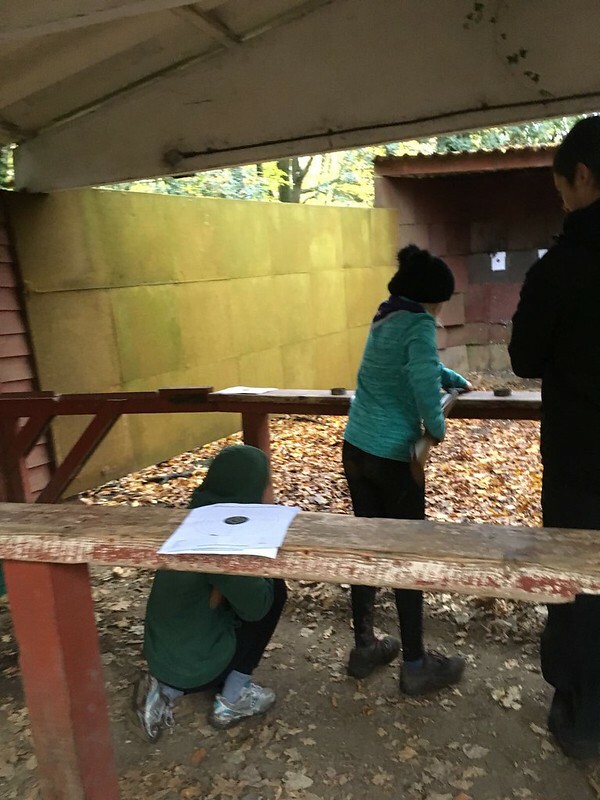 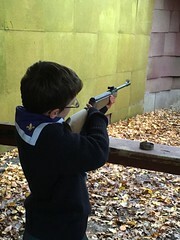 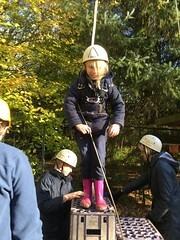 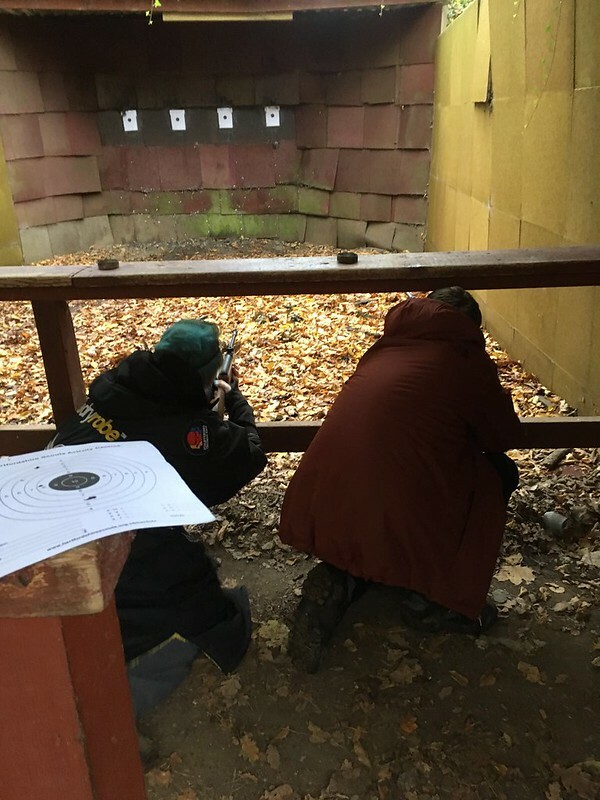 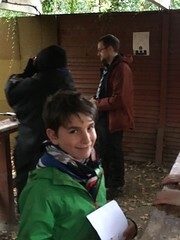 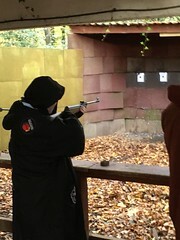 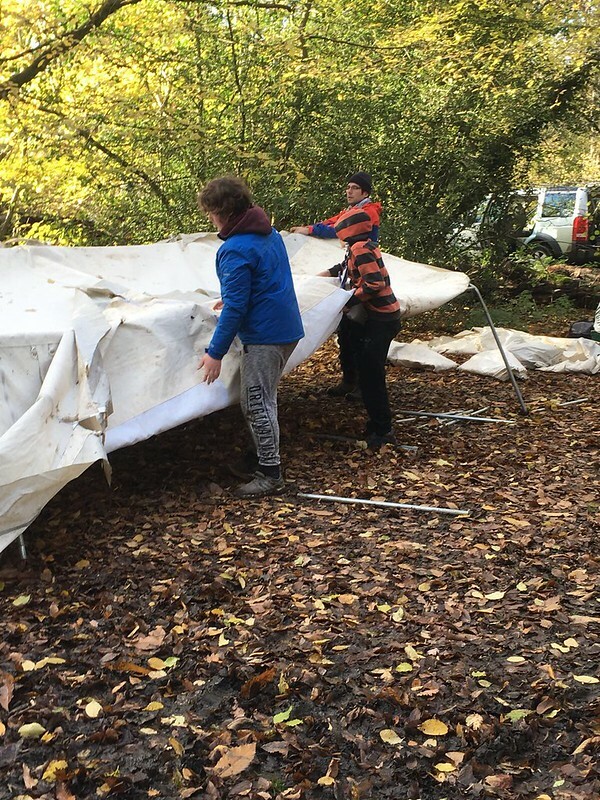 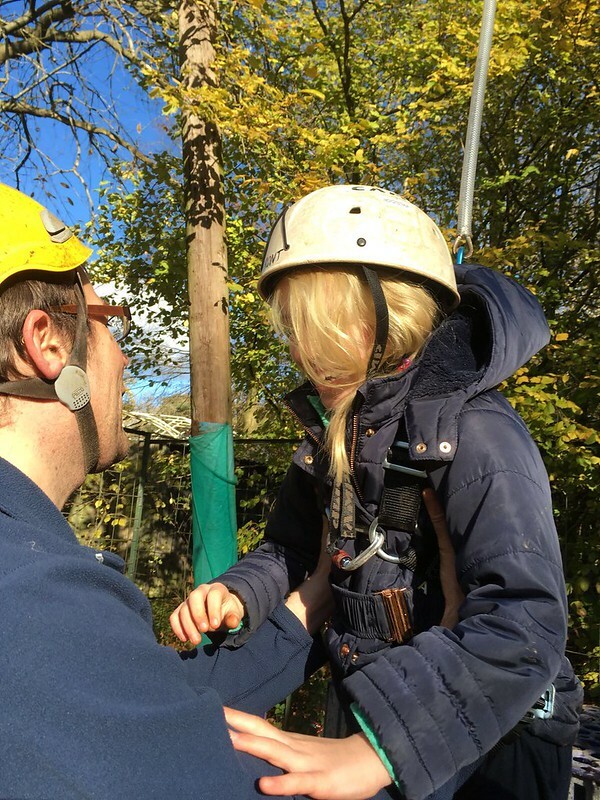 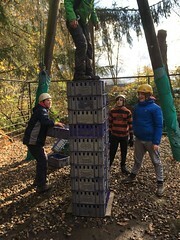 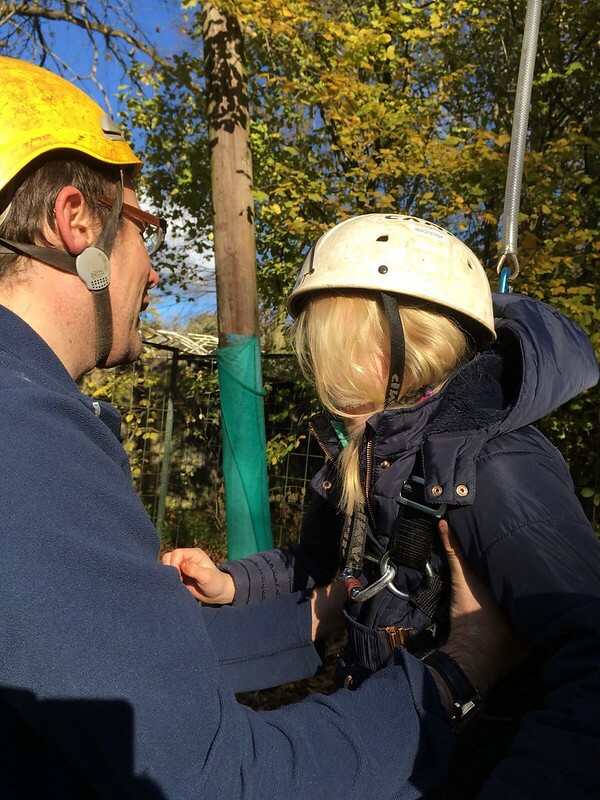 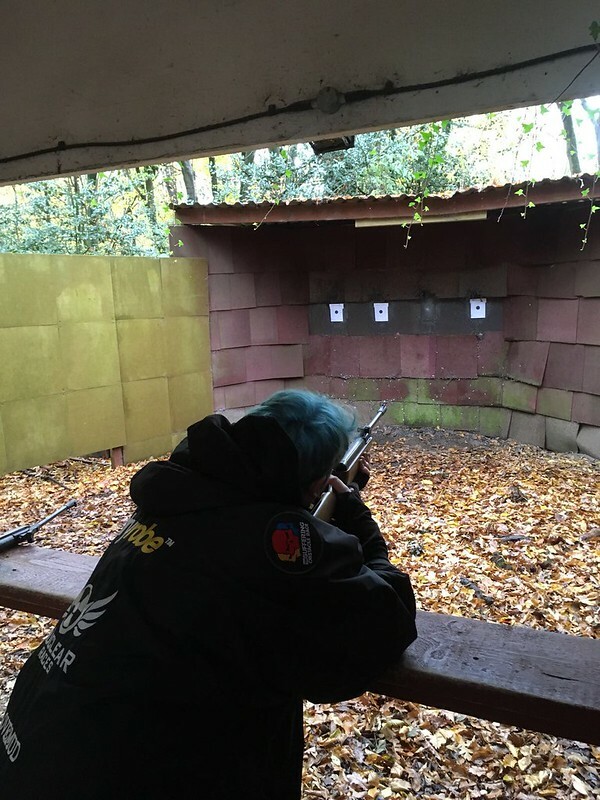 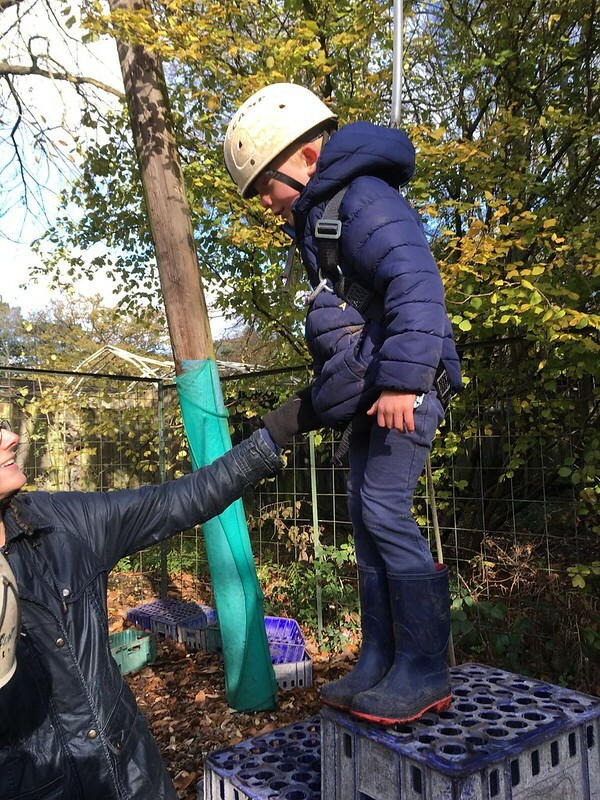 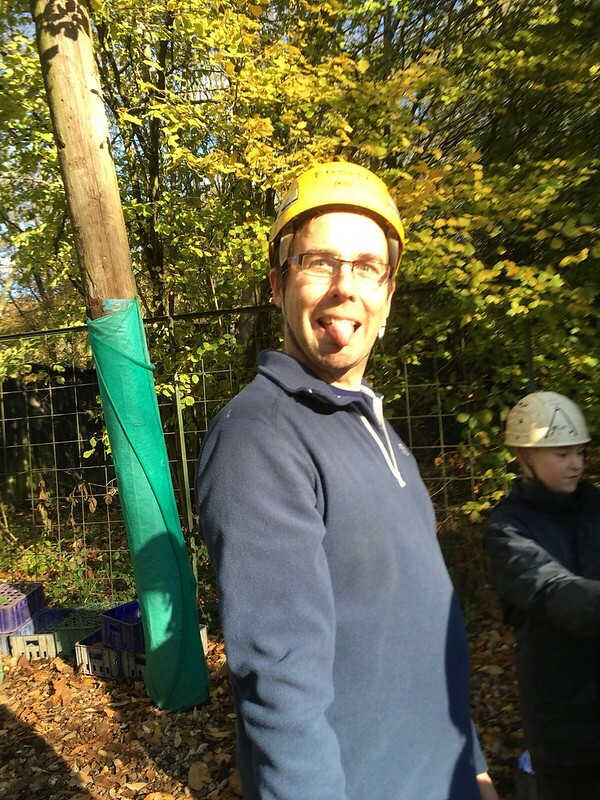 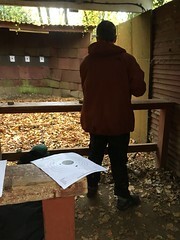 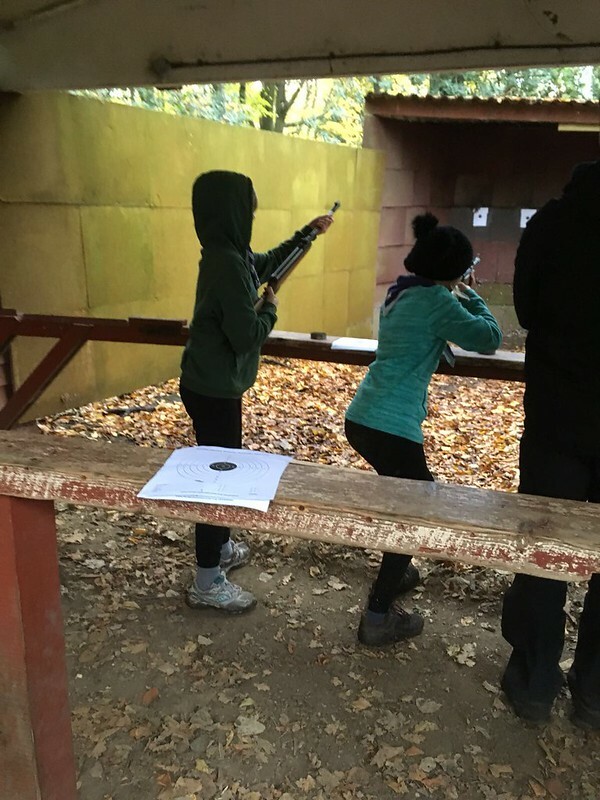 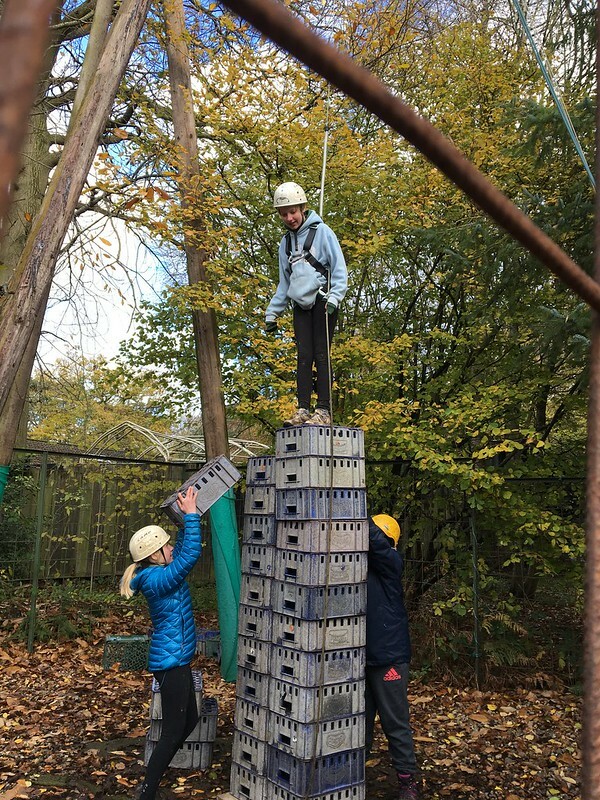 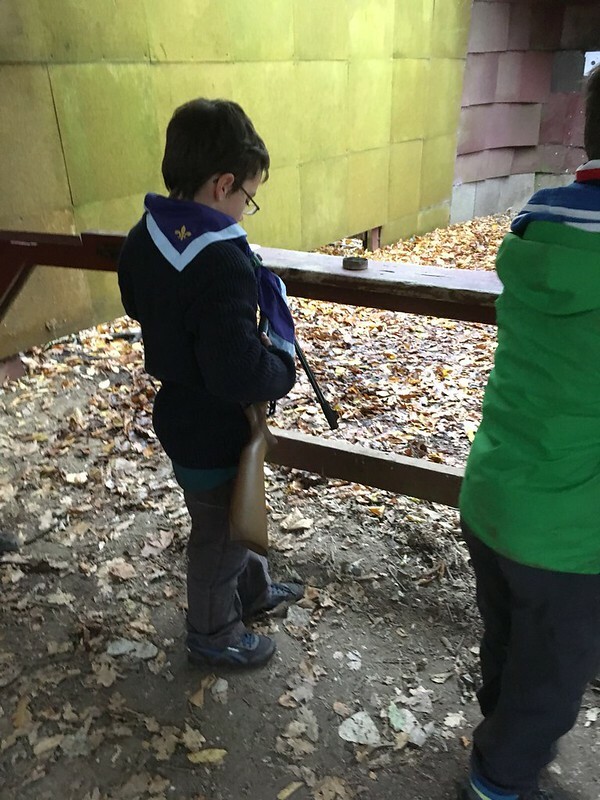 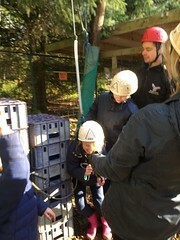 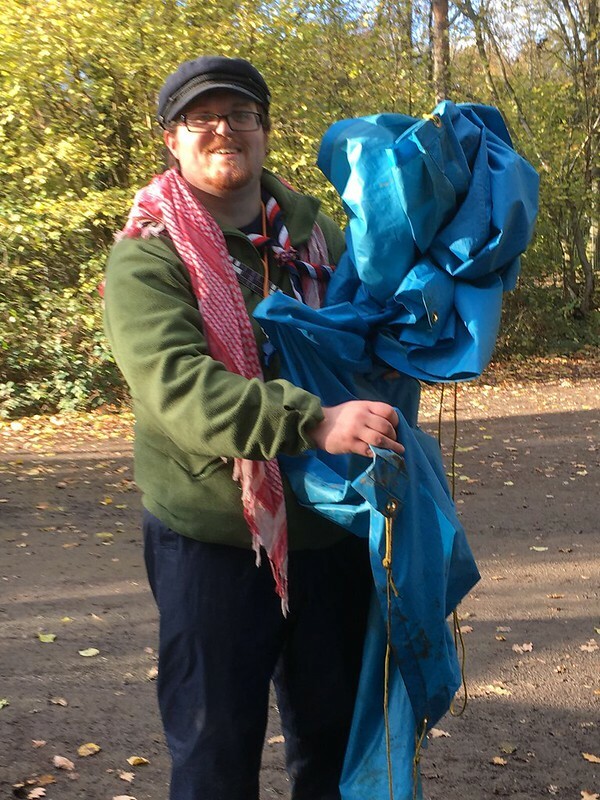 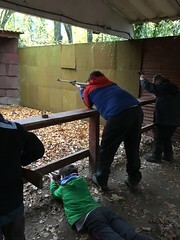 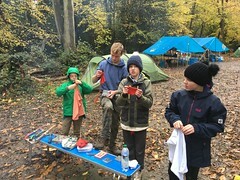 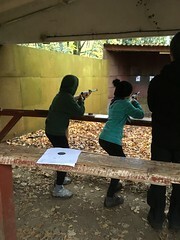 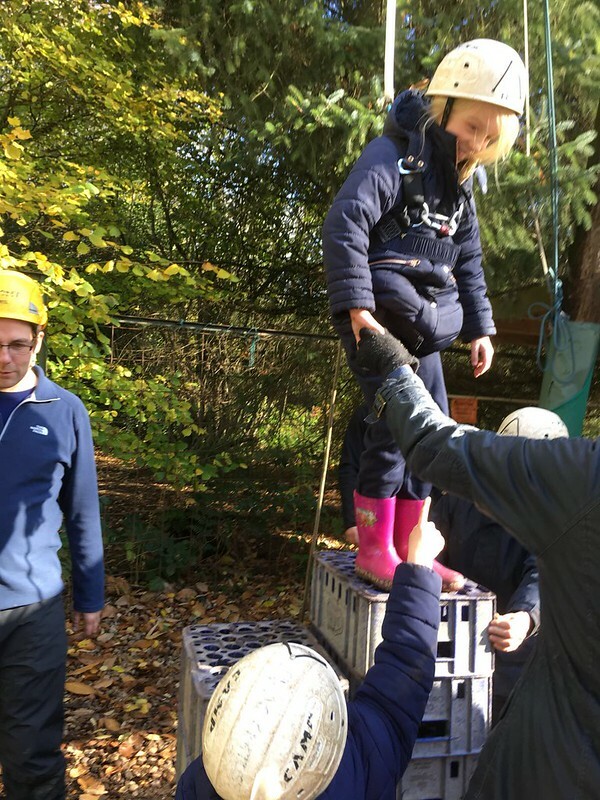 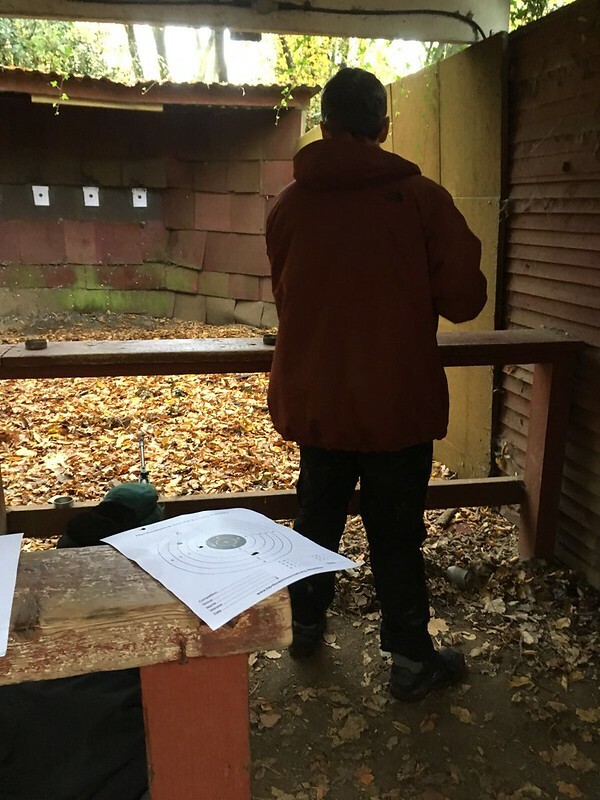 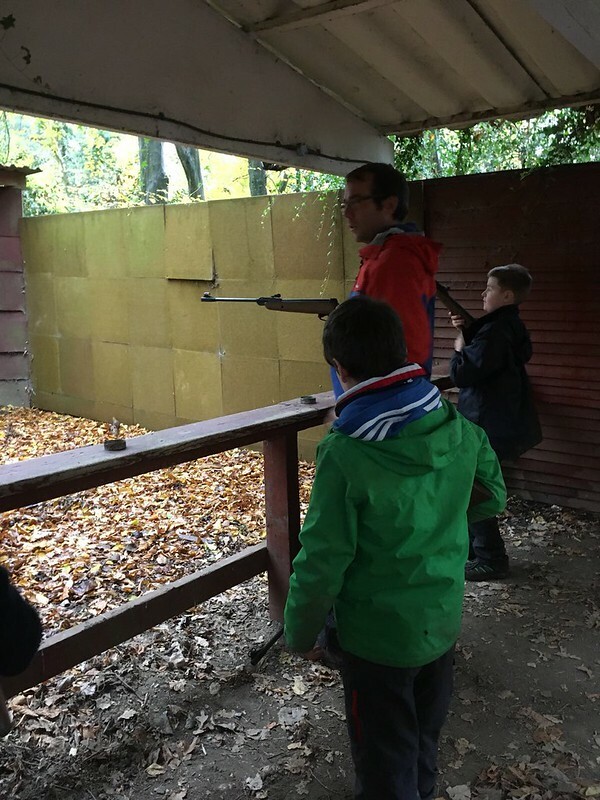 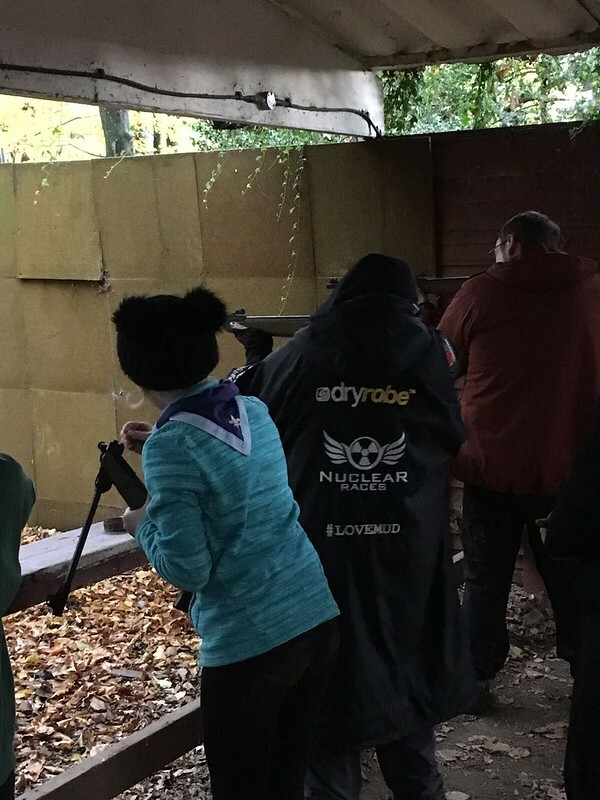 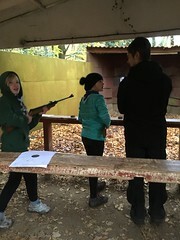 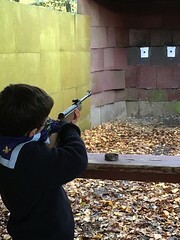 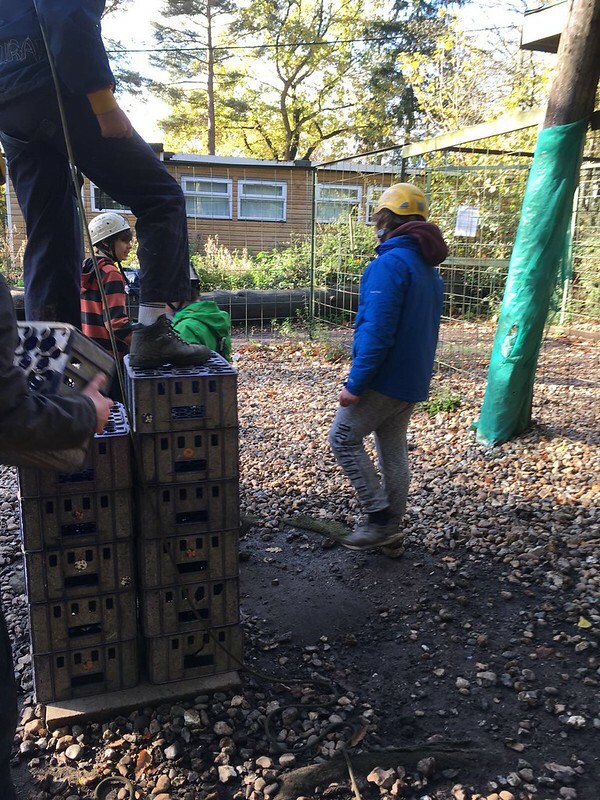 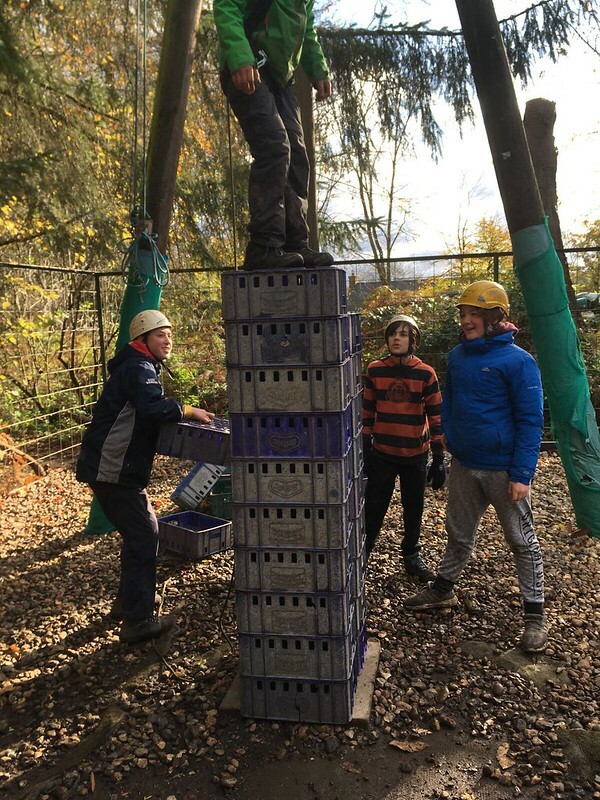 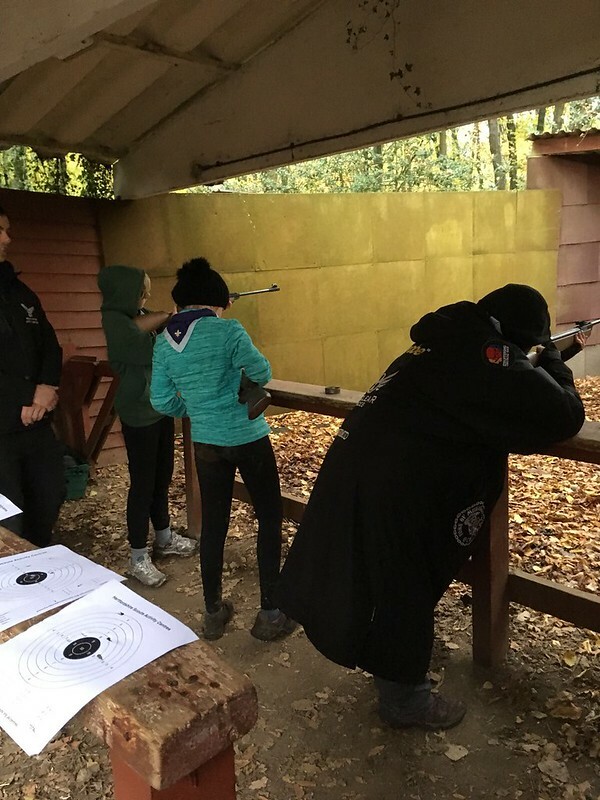 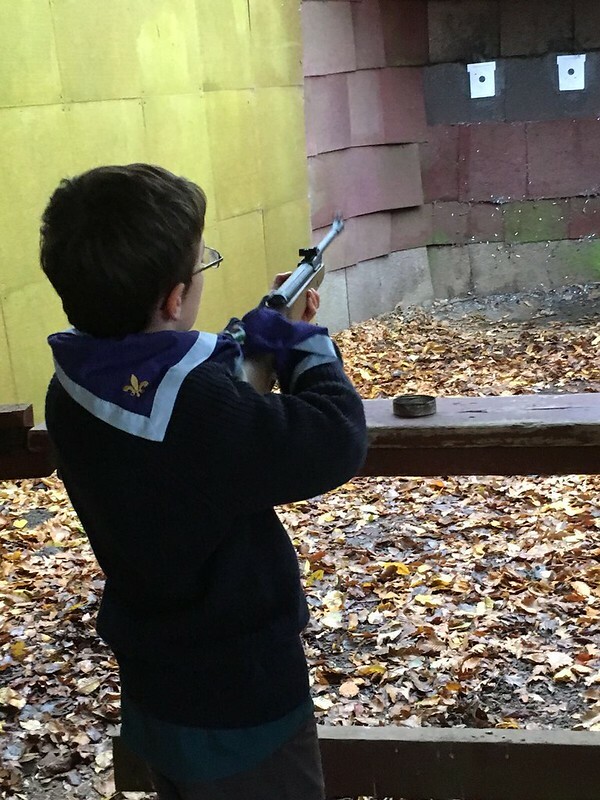 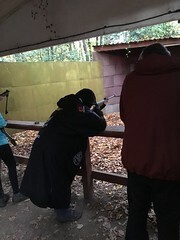 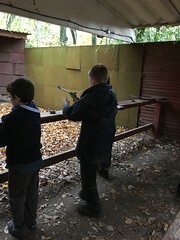 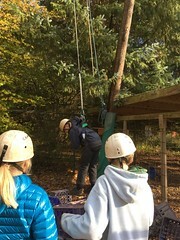 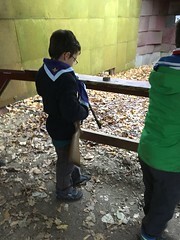 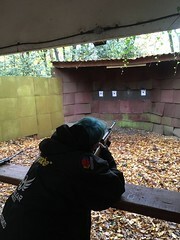 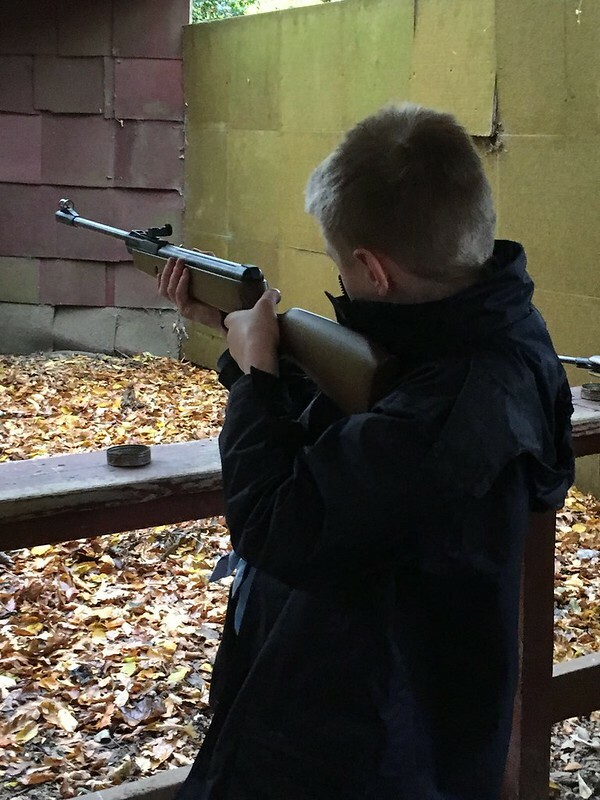 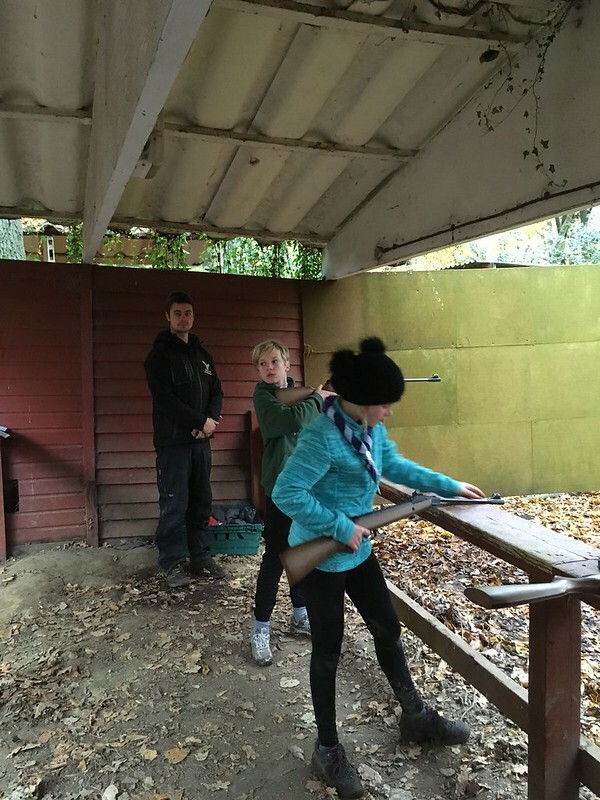 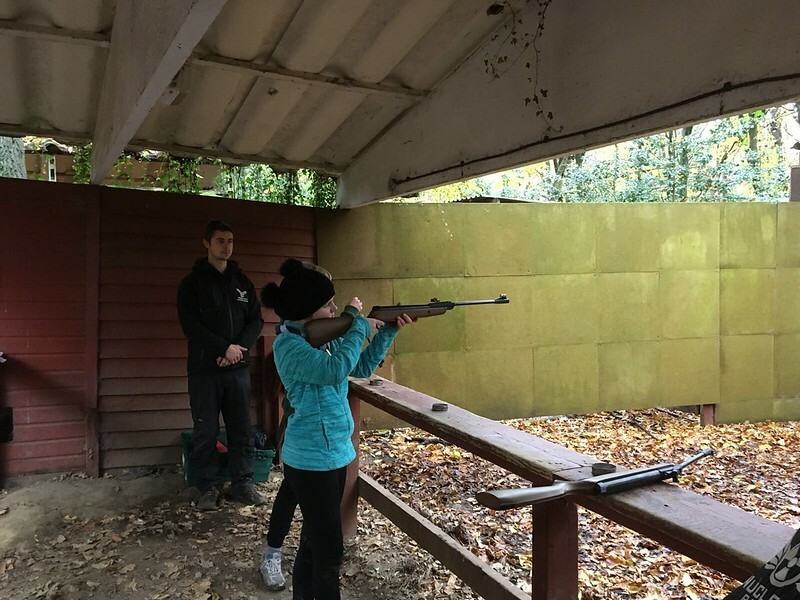 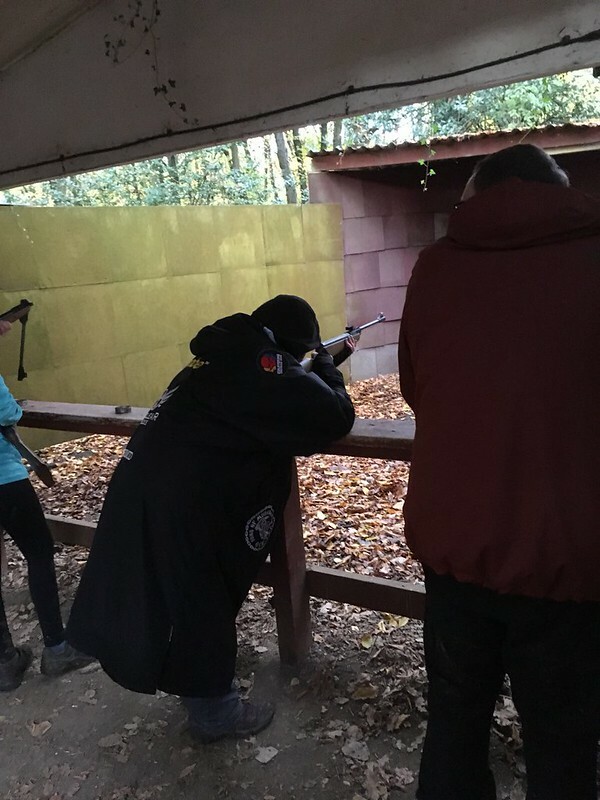 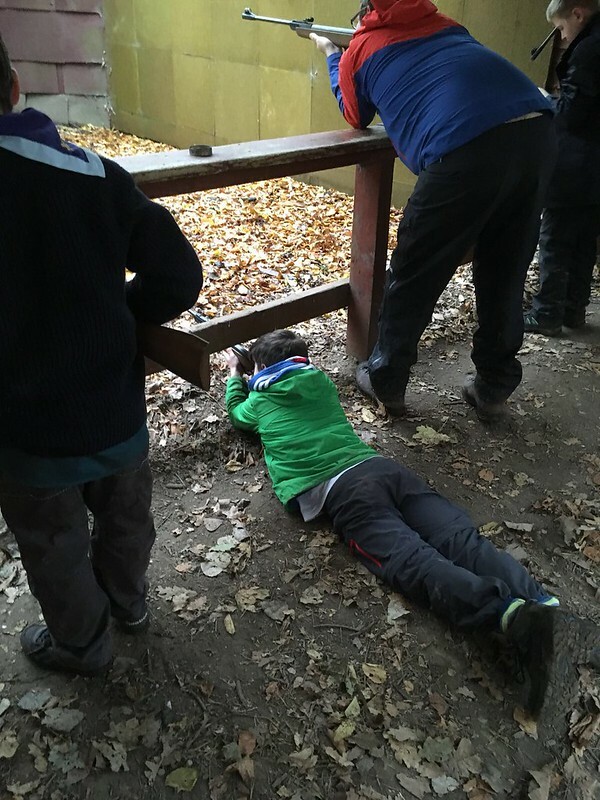 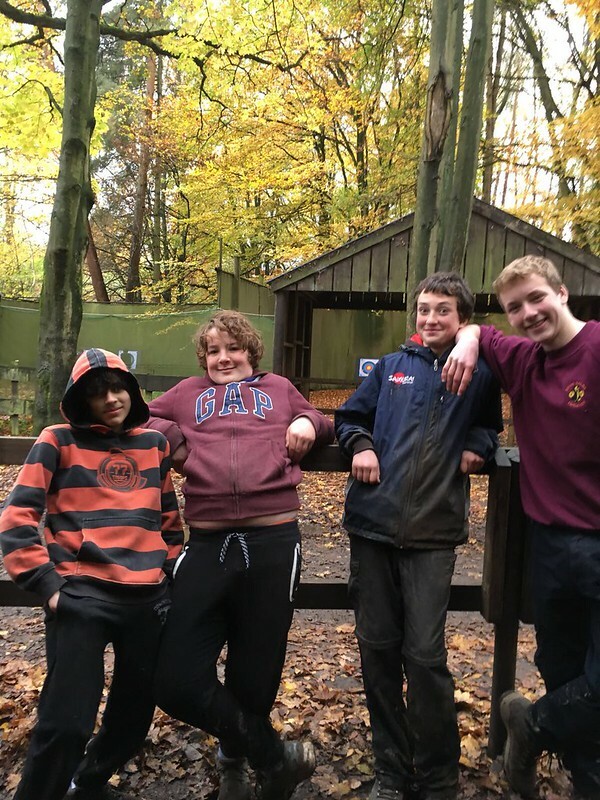 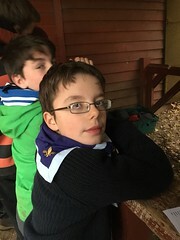 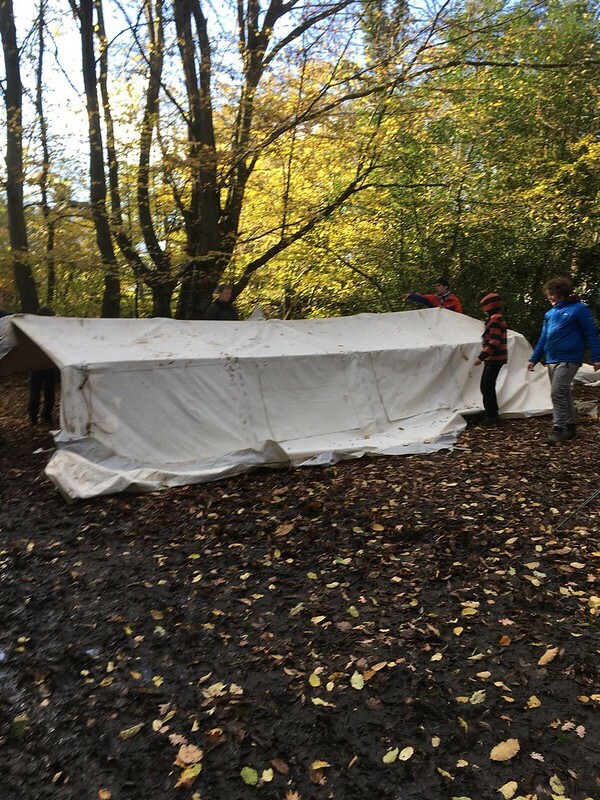 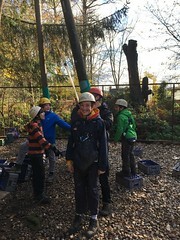 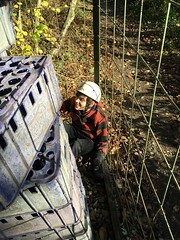 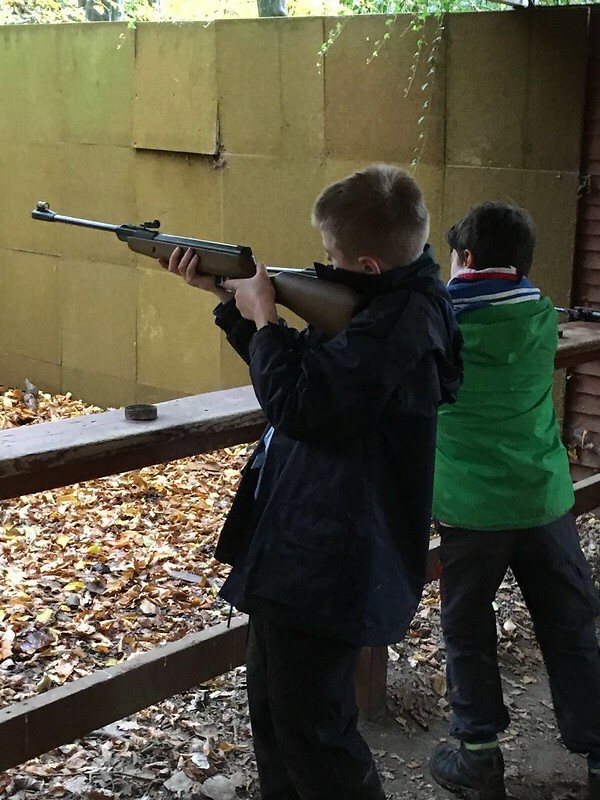 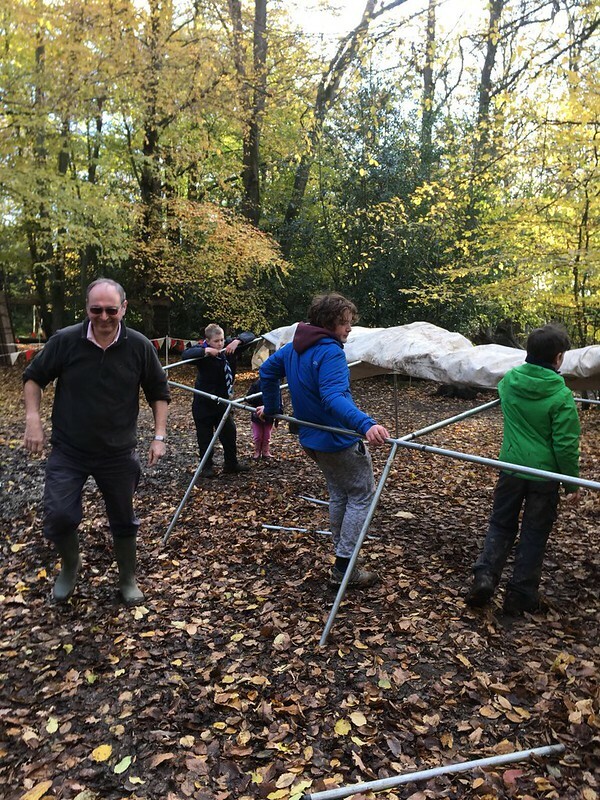 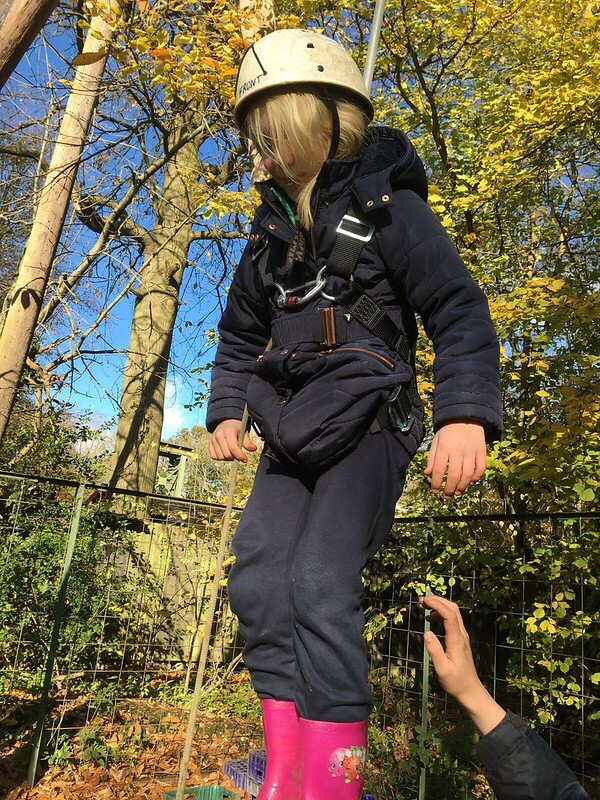 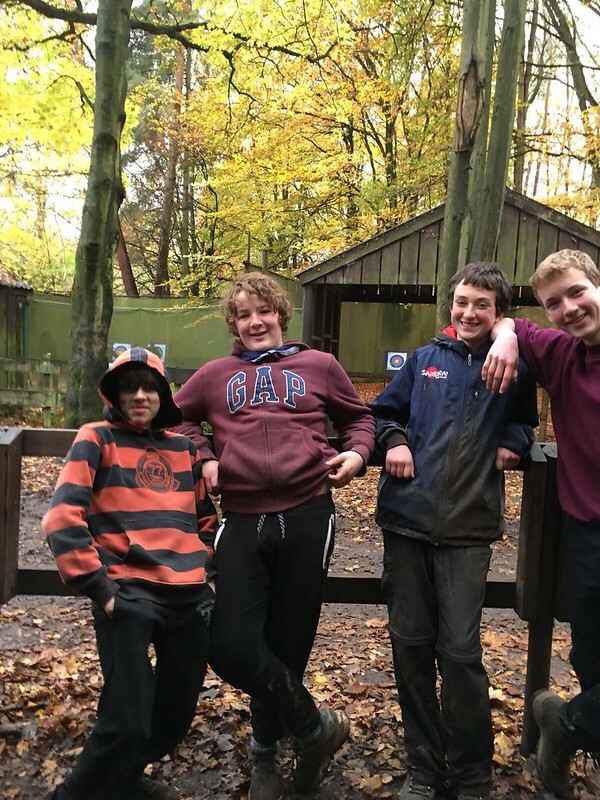 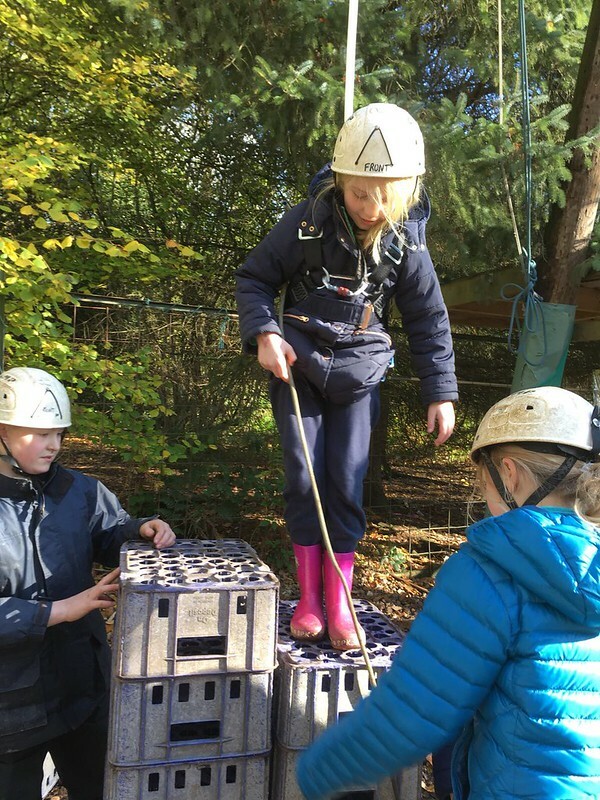 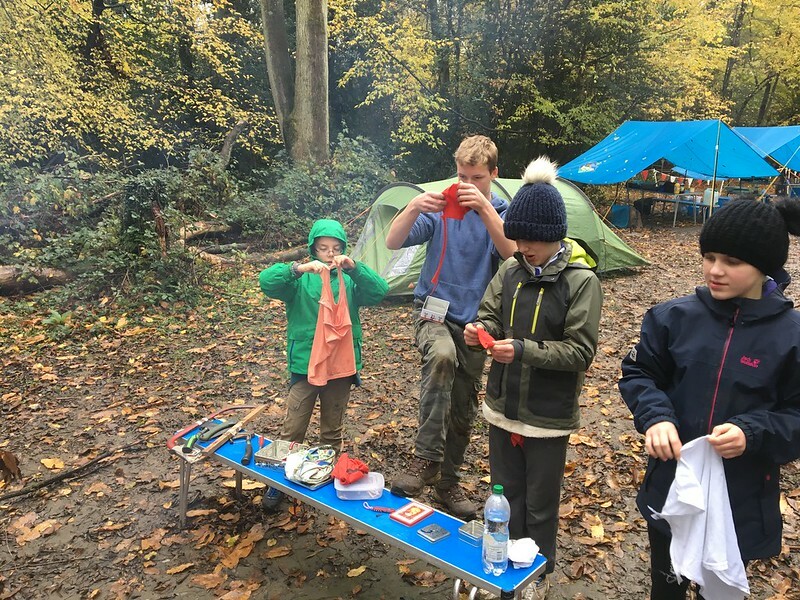 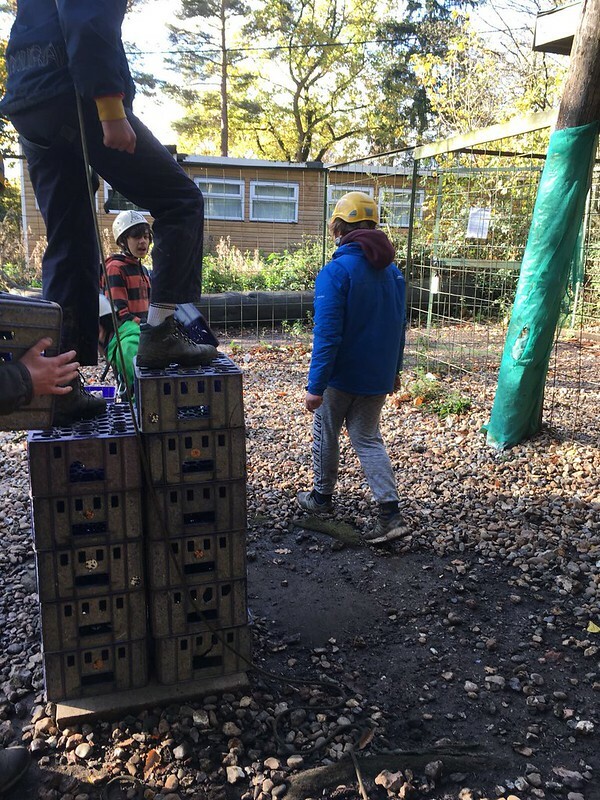 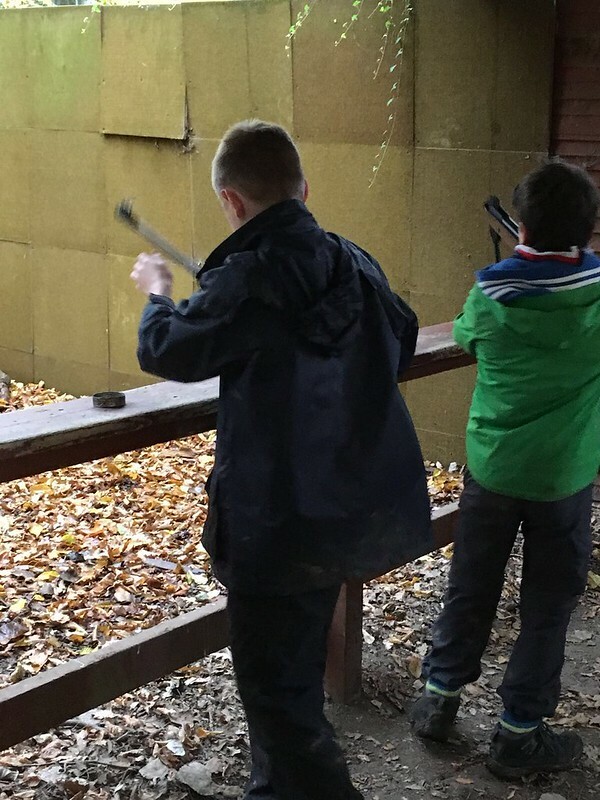 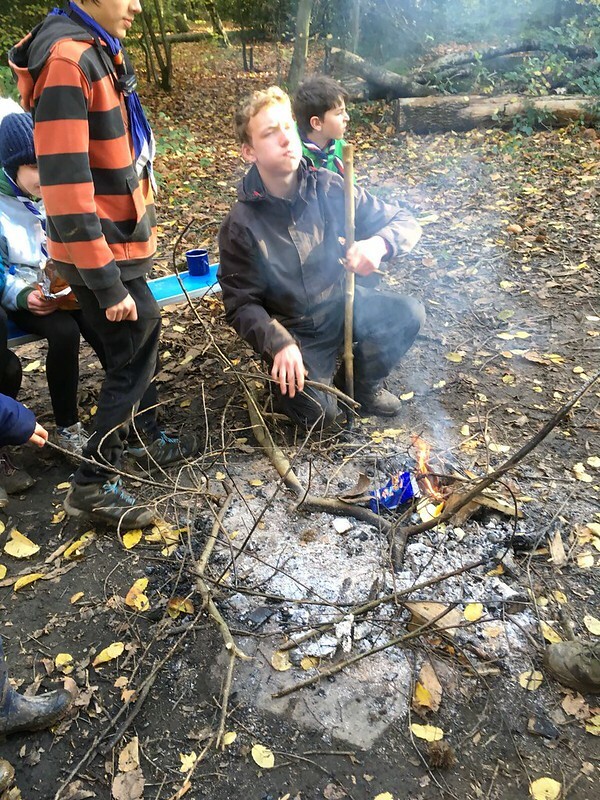 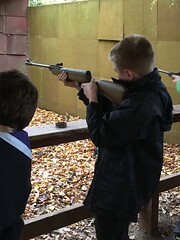 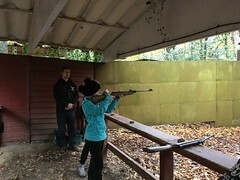 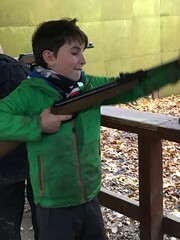 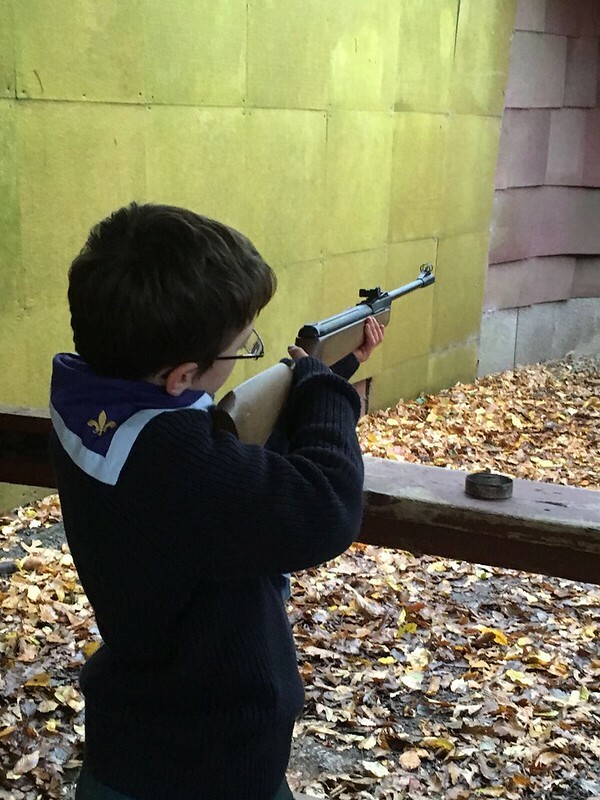 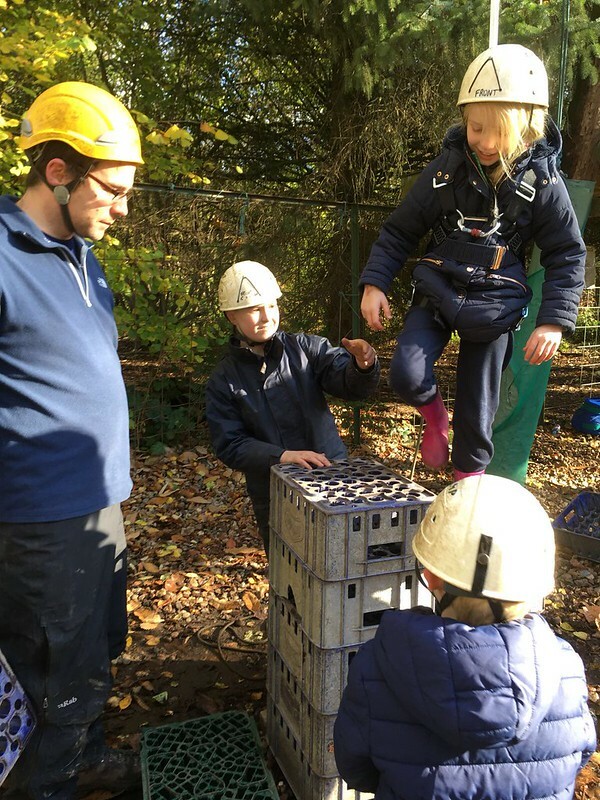 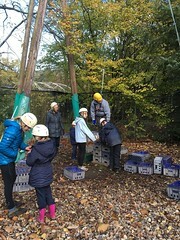 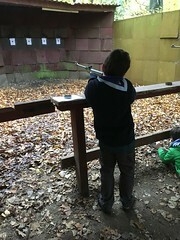 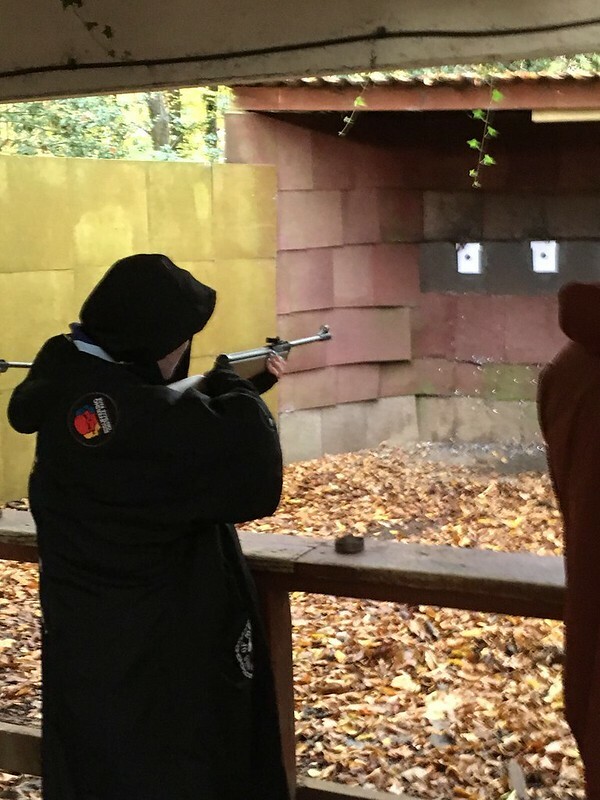 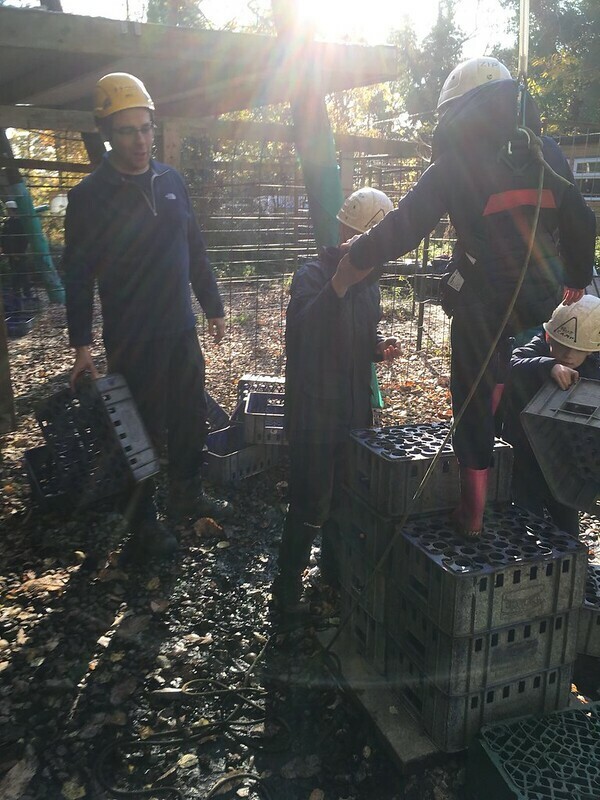 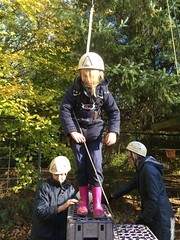 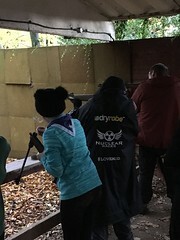 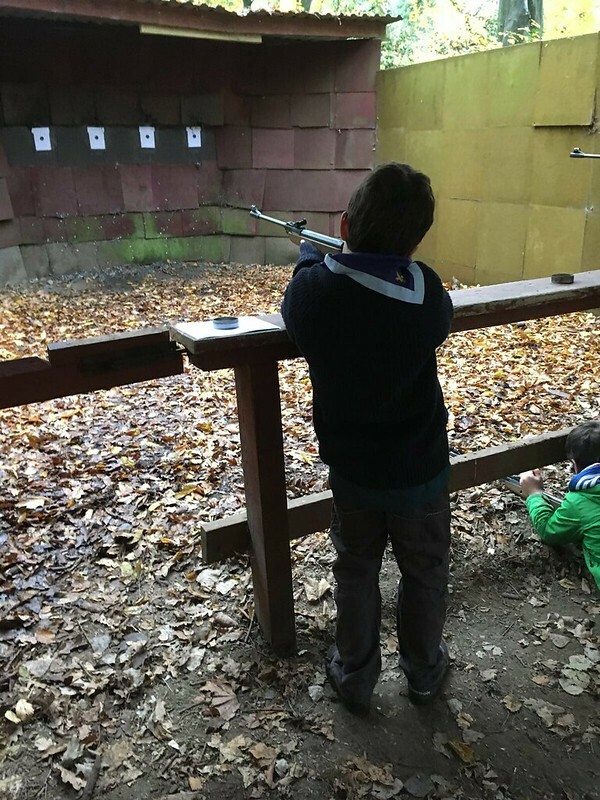 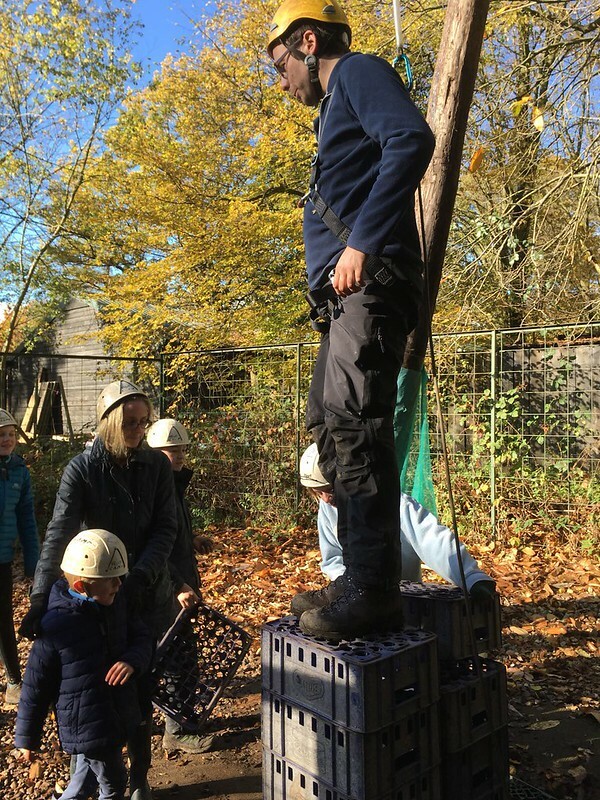 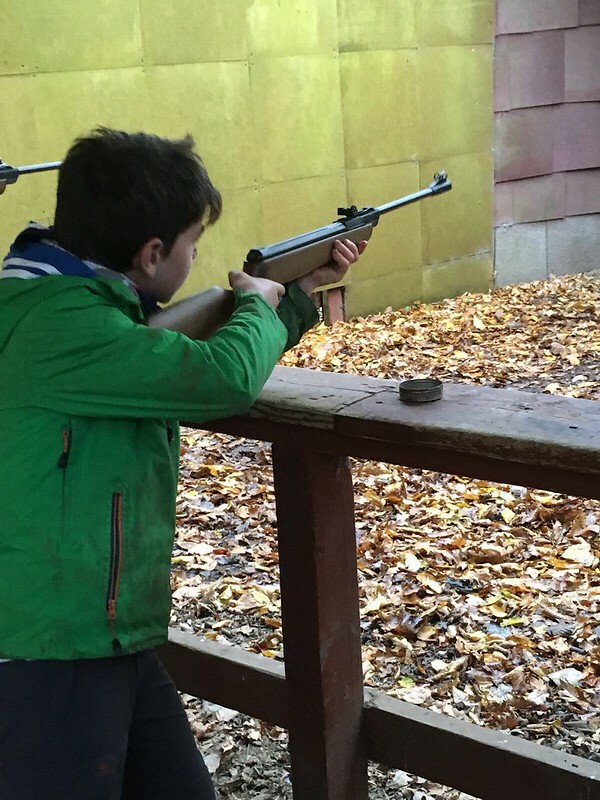 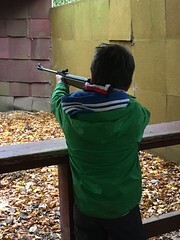 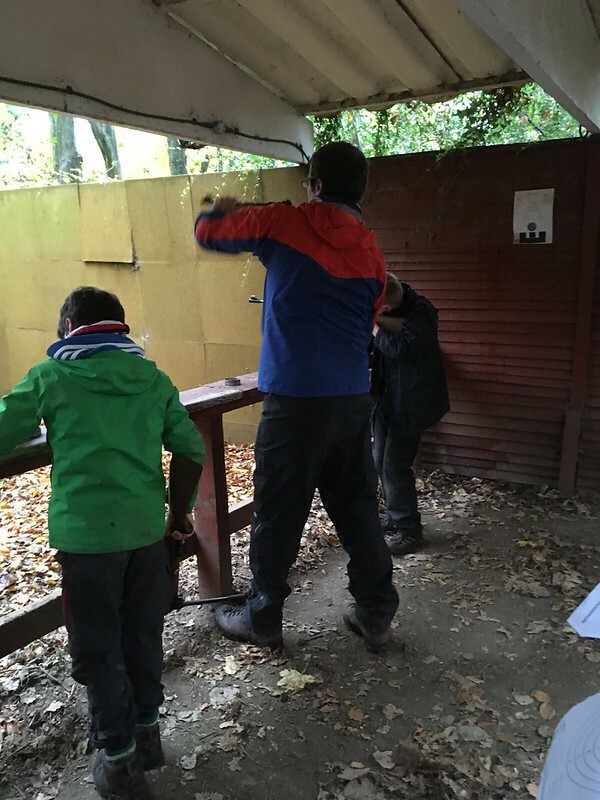 A small but enthusiastic band of scouts from Raptor troop spent a November weekend on camp at Phasels Wood in Hertfordshire. 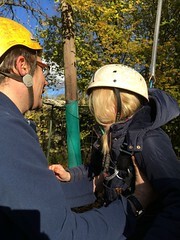 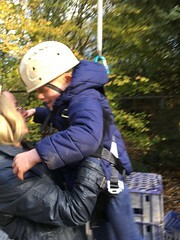 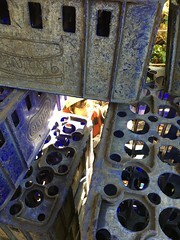 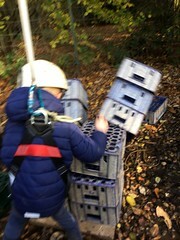 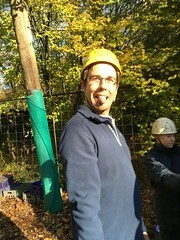 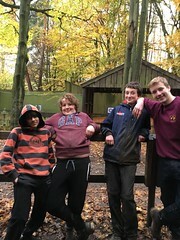 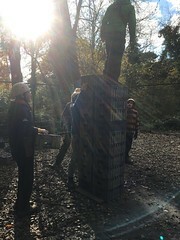 Yet another camp planned by the scouts themselves they went shooting, crate staking and braved the dark of Phasels artificial caving complex. 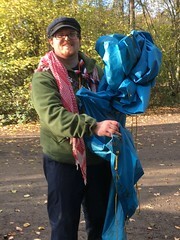 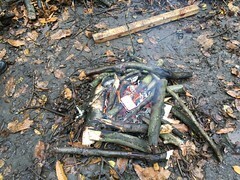 They also made their fire lighters in the shape of char cloth and spent a morning learning CPR. 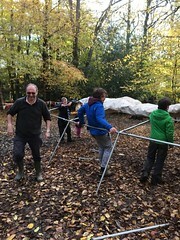 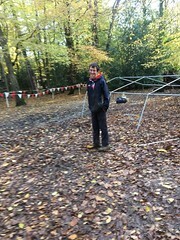 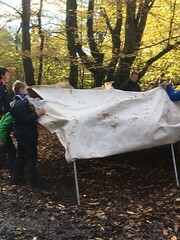 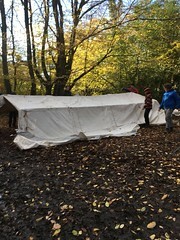 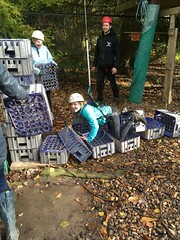 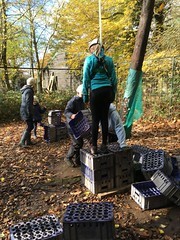 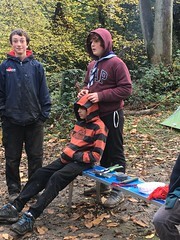 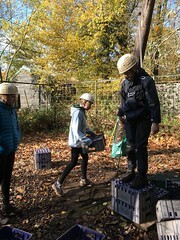 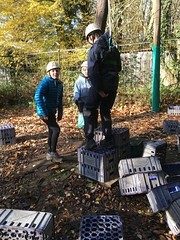 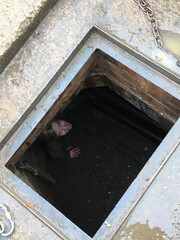 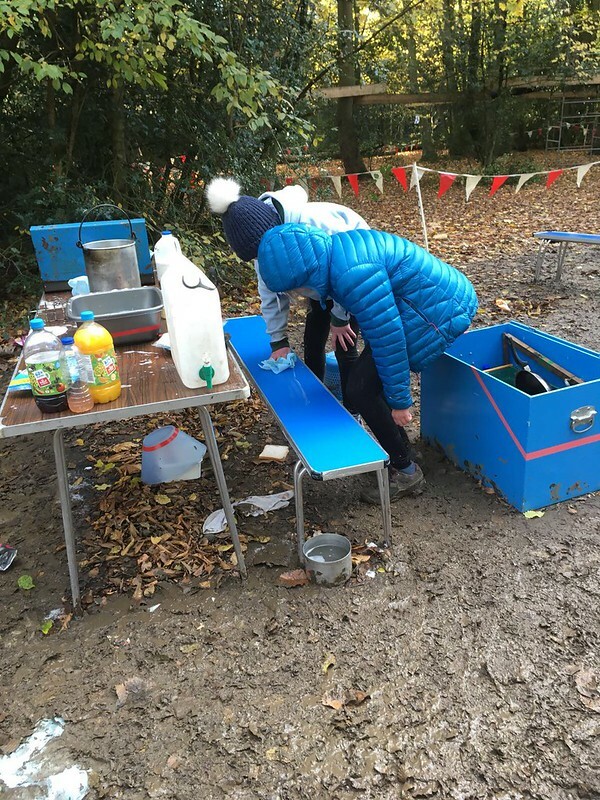 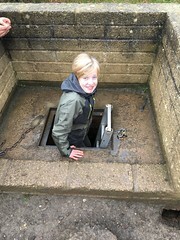 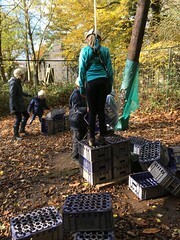 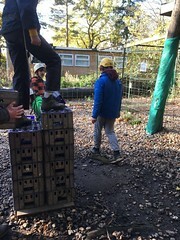 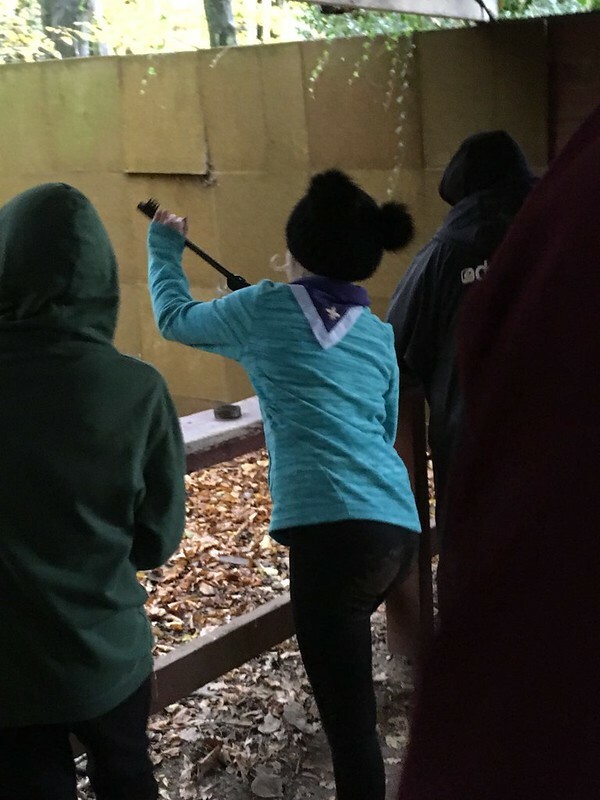 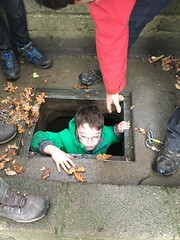 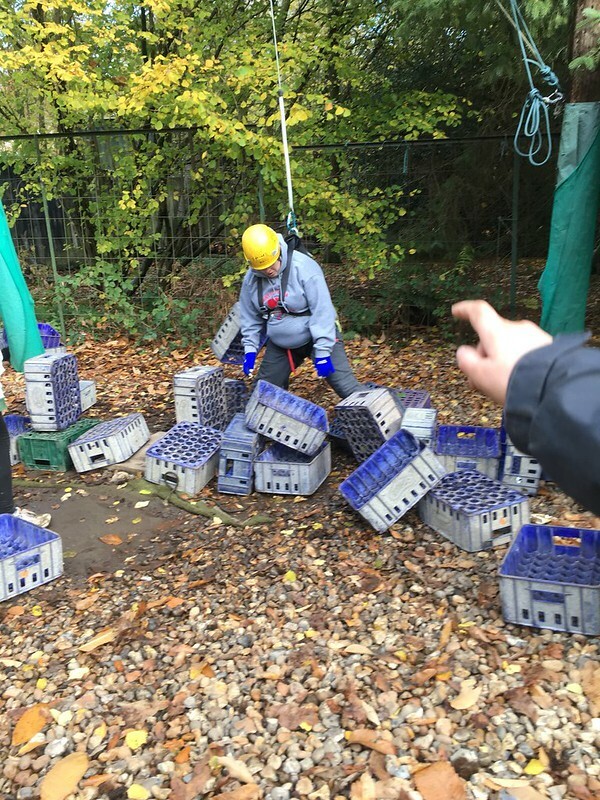 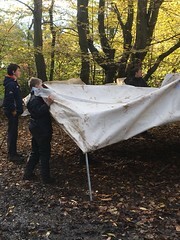 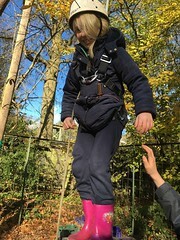 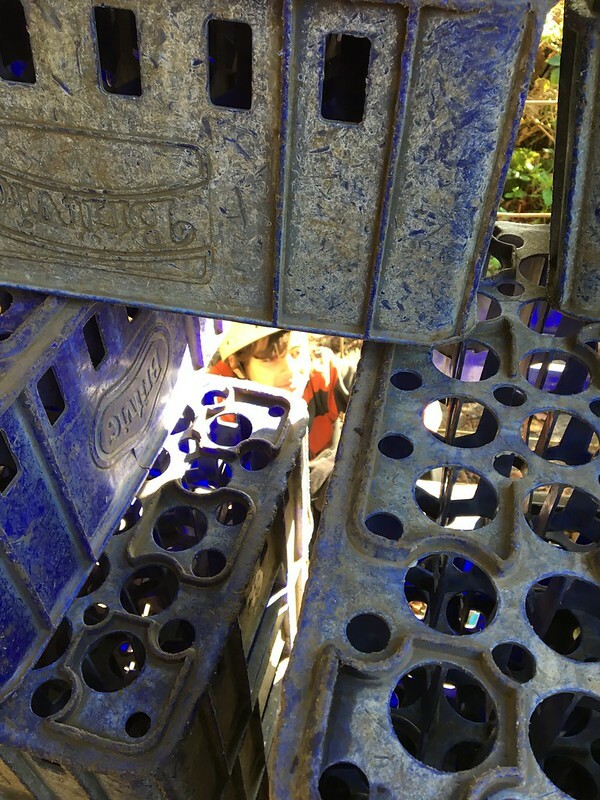 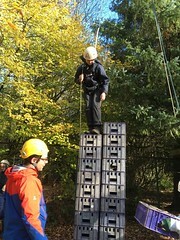 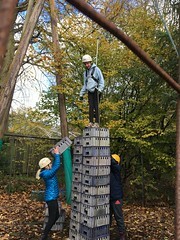 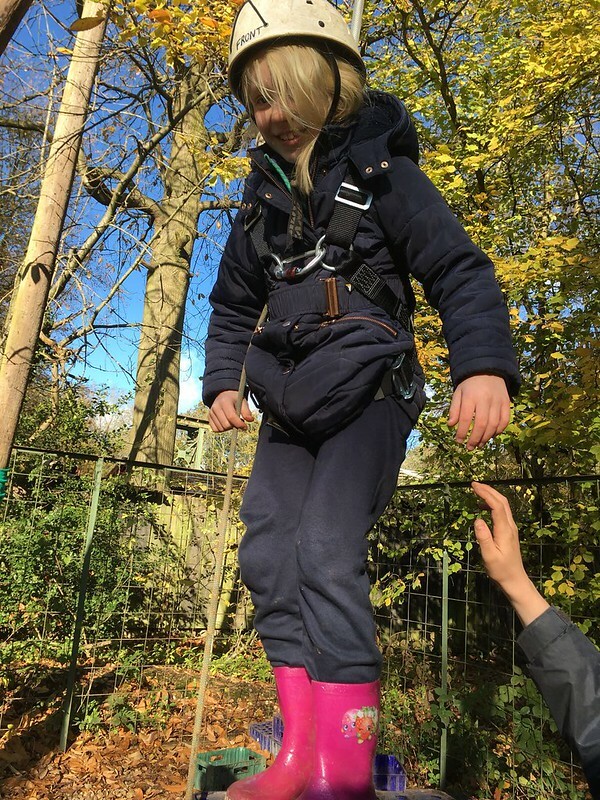 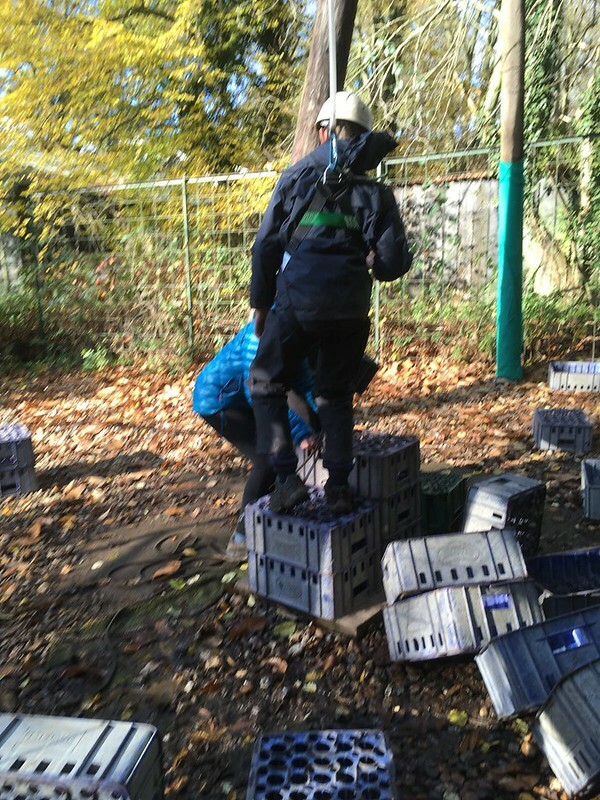 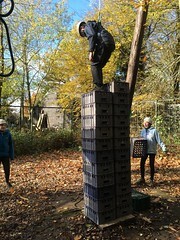 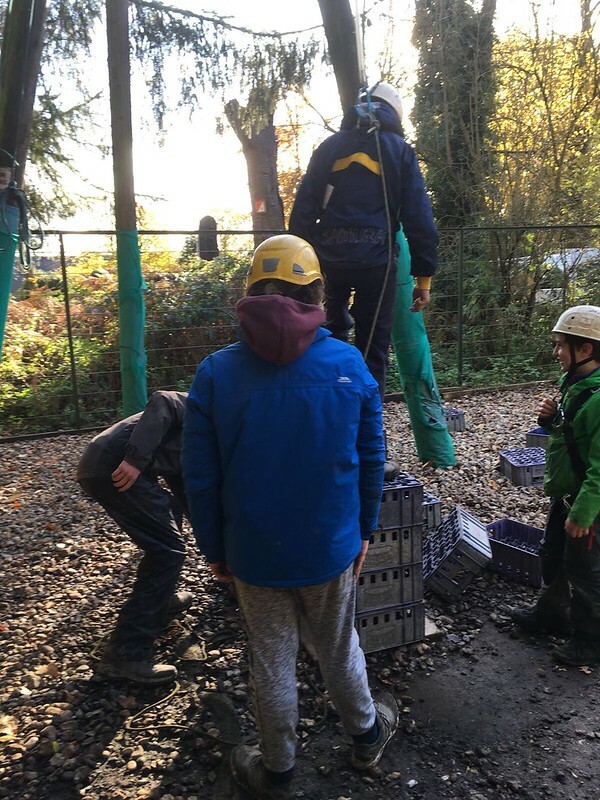 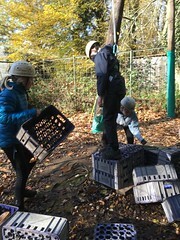 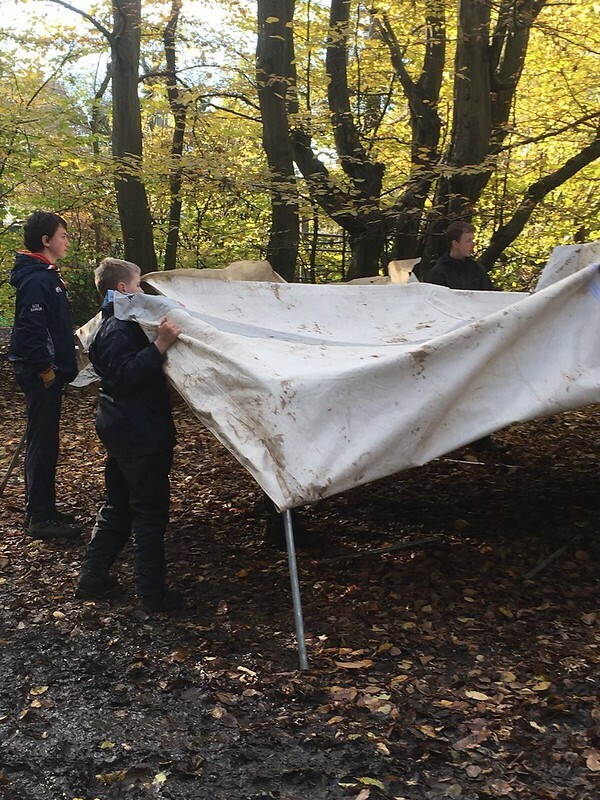 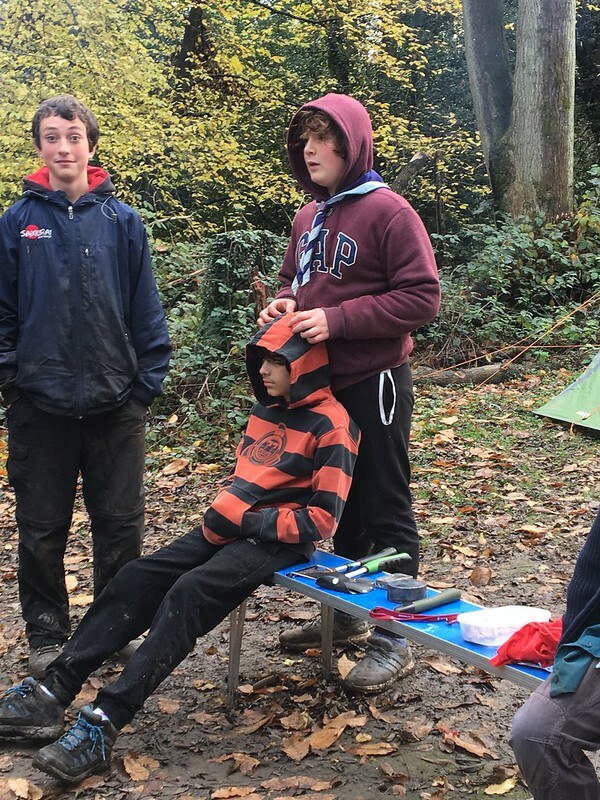 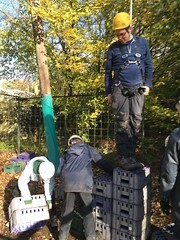 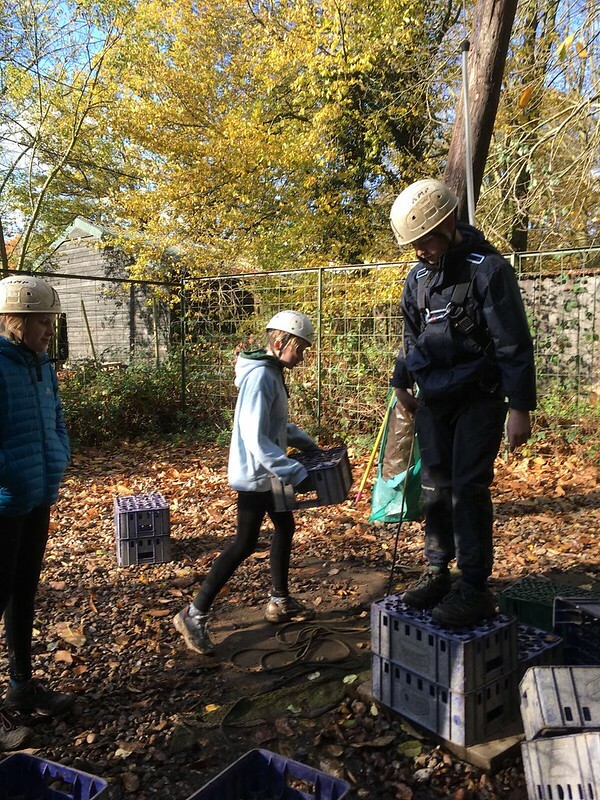 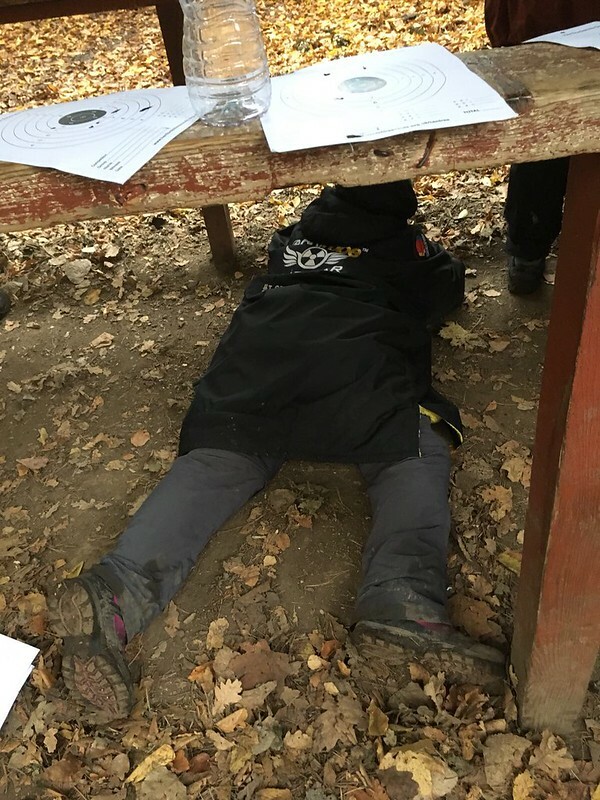 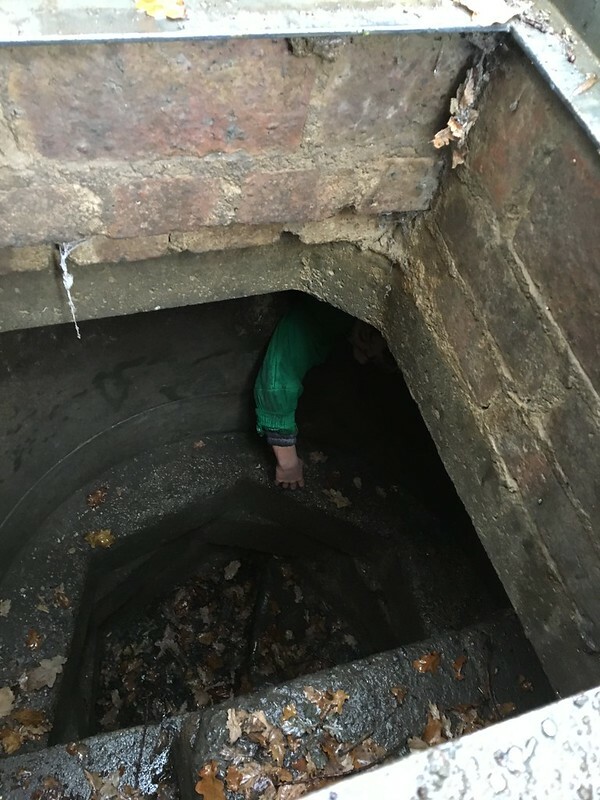 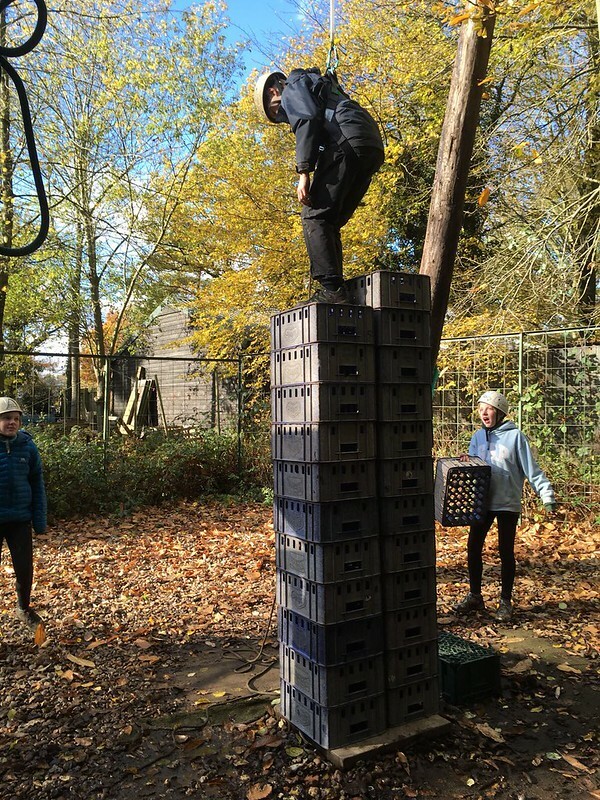 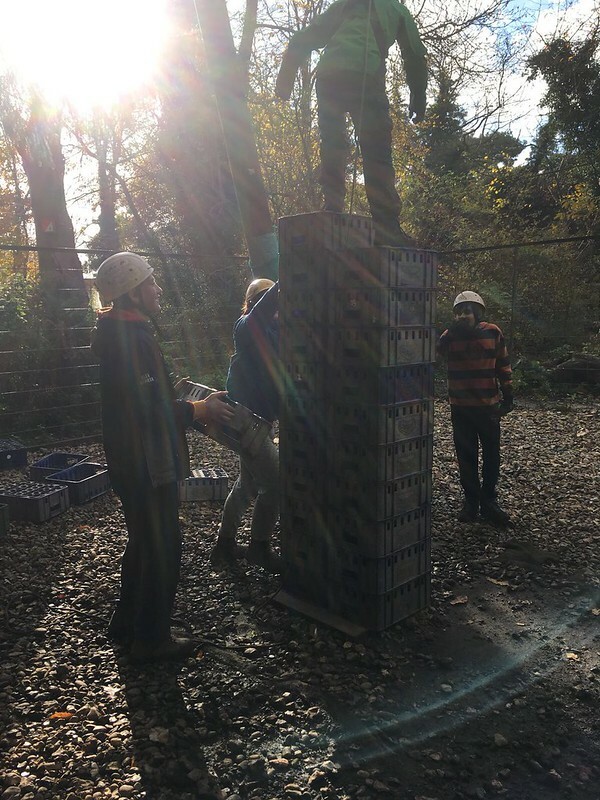 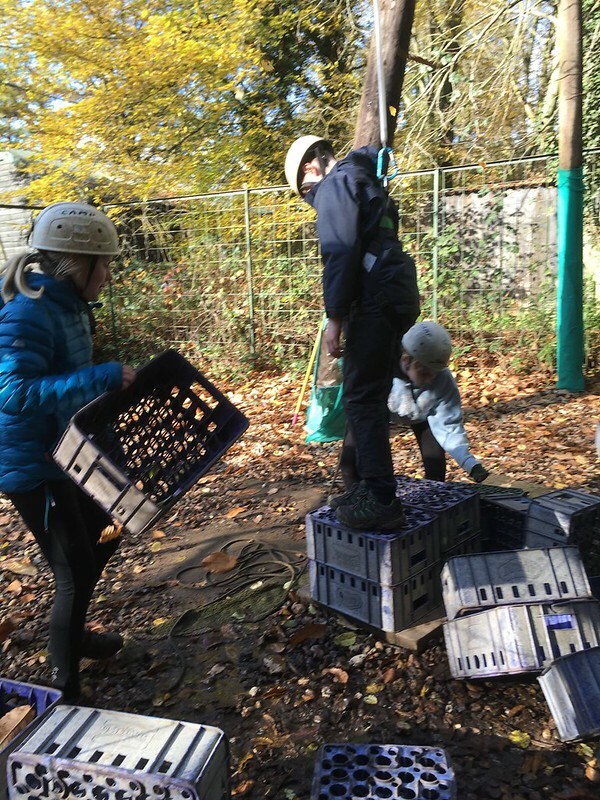 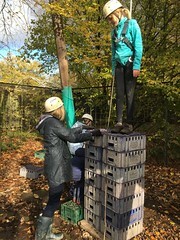 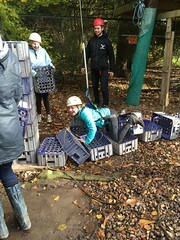 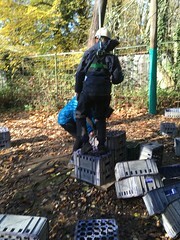 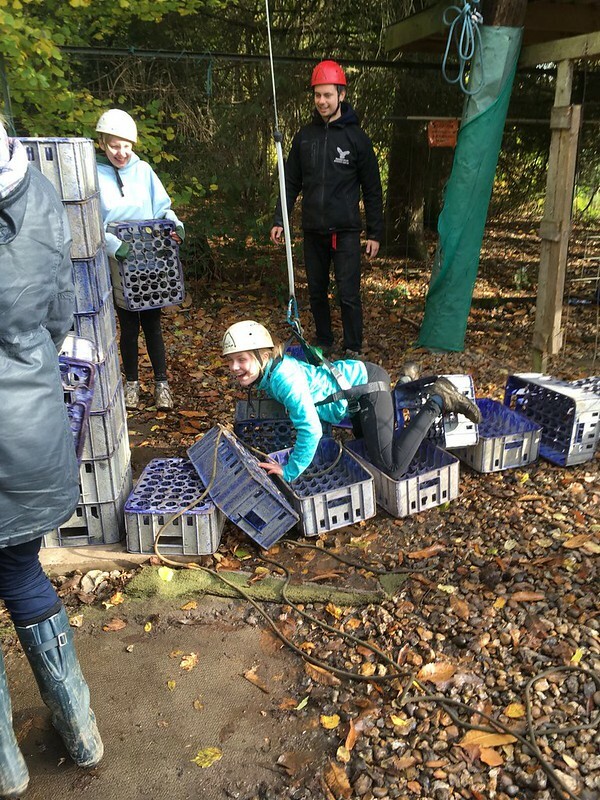 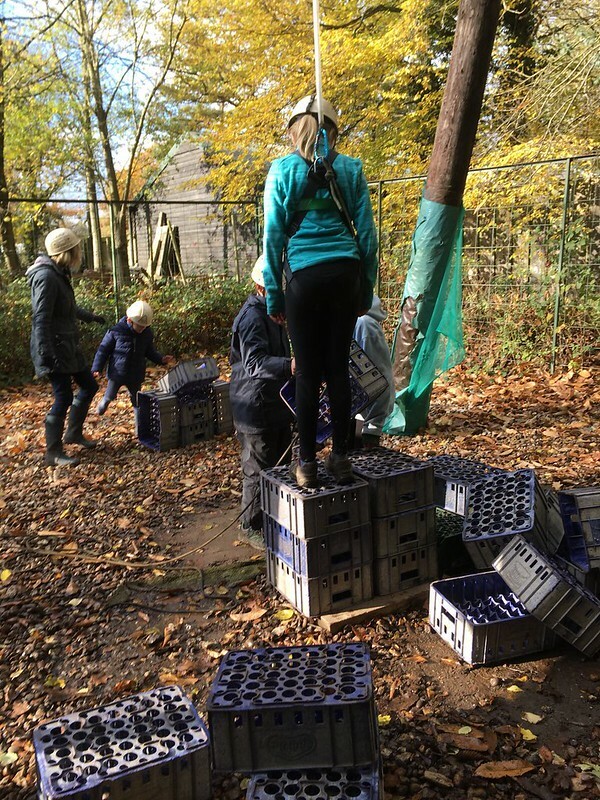 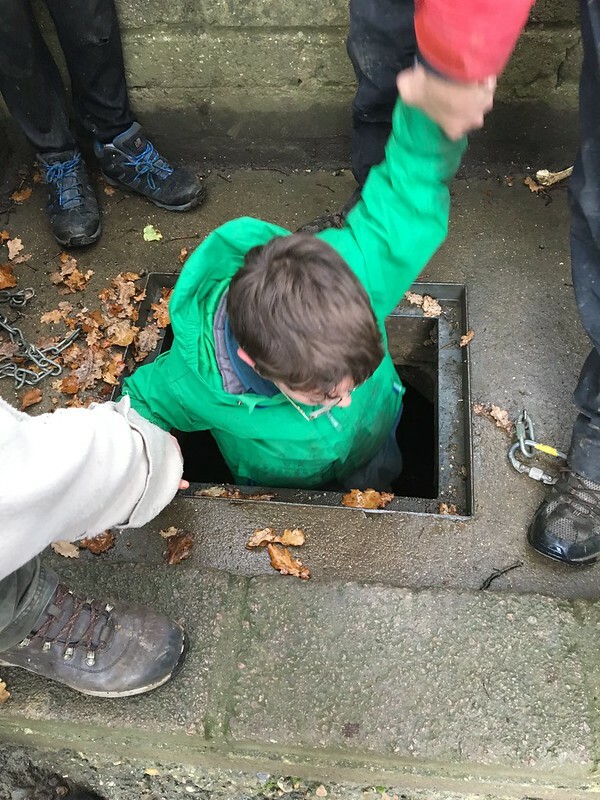 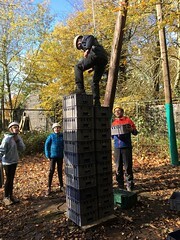 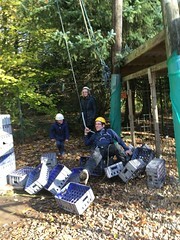 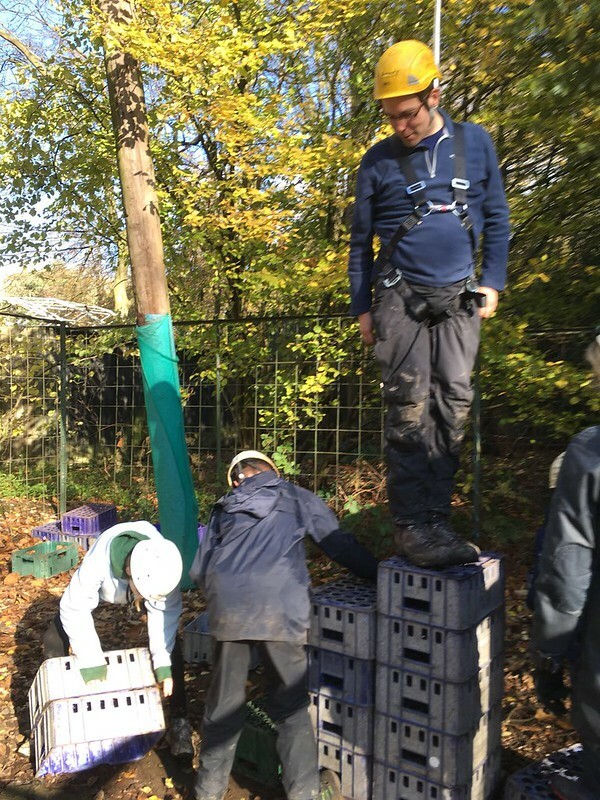 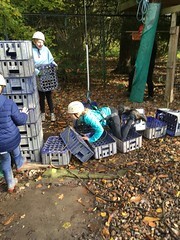 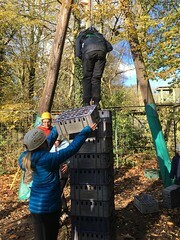 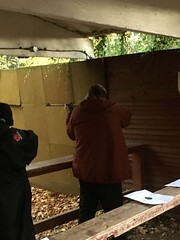 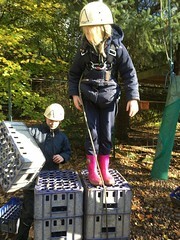 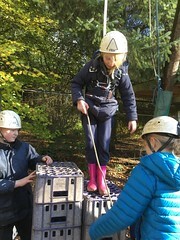 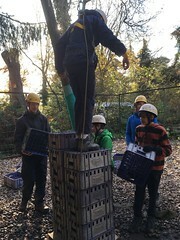 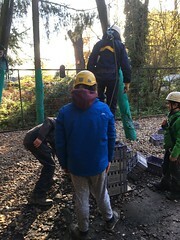 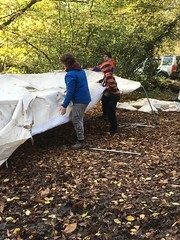 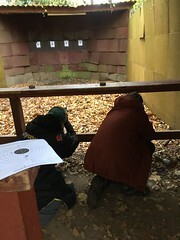 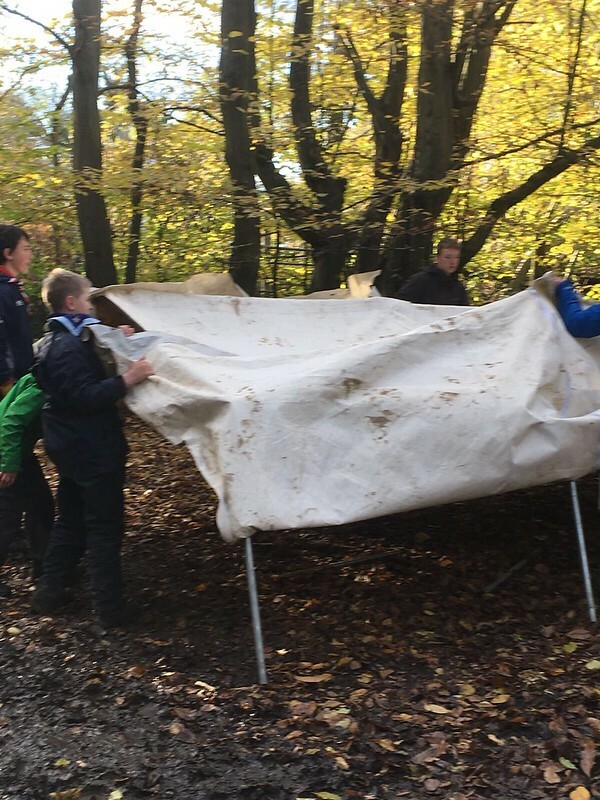 Sunny days gave way to heavy rain both nights and allowed the scouts to show off their ability to cope with some quite difficult conditions underfoot. 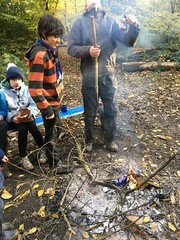 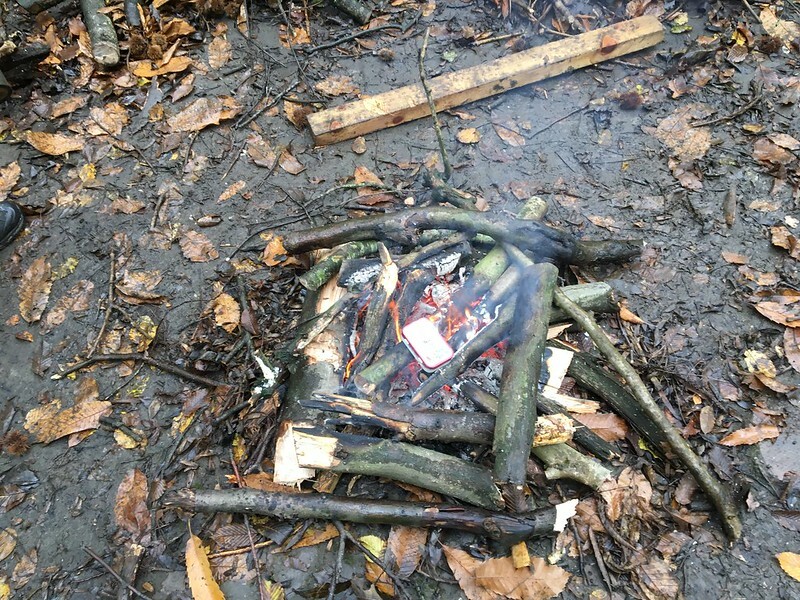 Most of all though the scouts burned an extraordinary amount of wood and set what must be a new record with a fire that was lit first thing Saturday morning with one match staying fully alight until the last possible moment before we left Sunday afternoon.